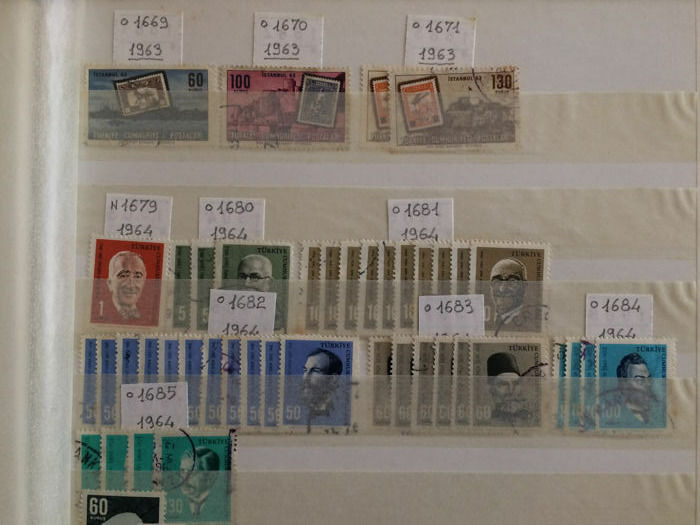 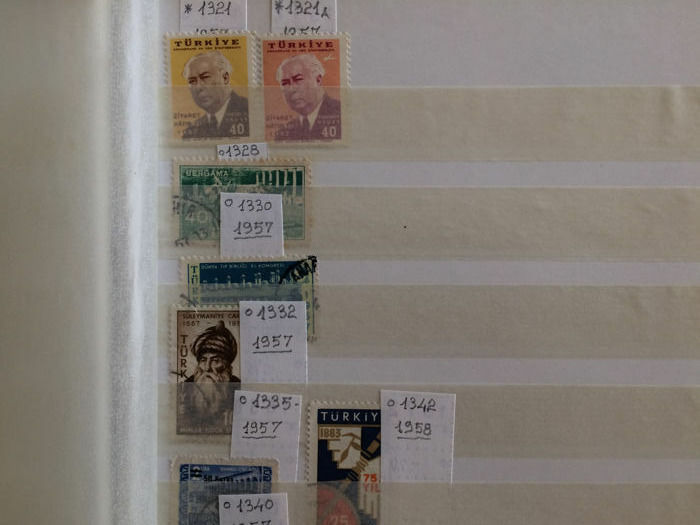 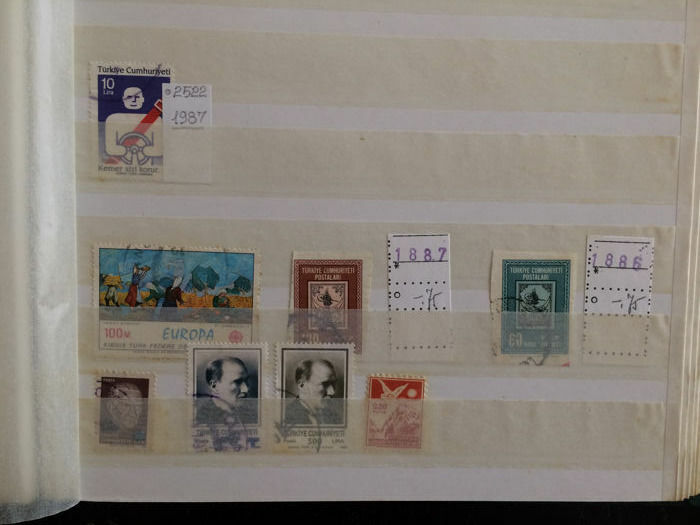 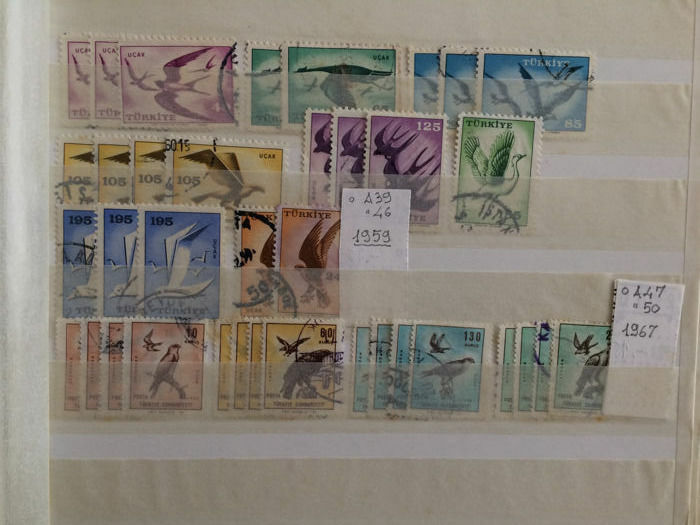 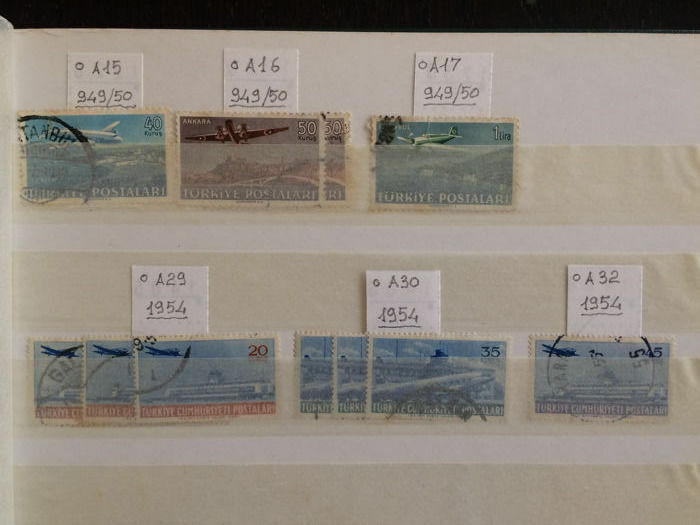 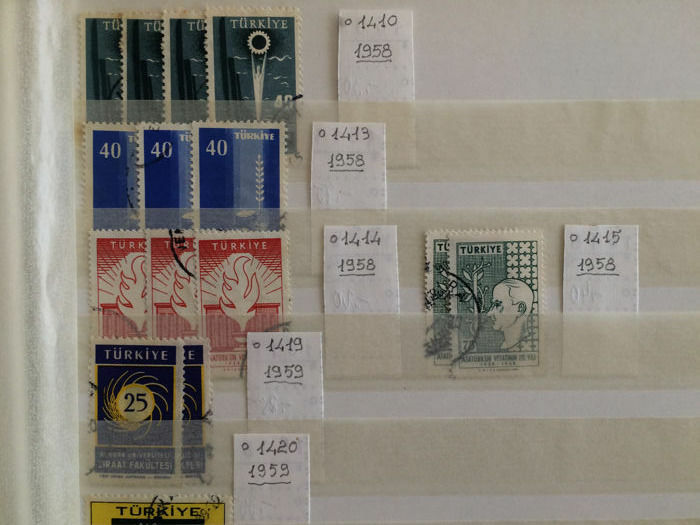 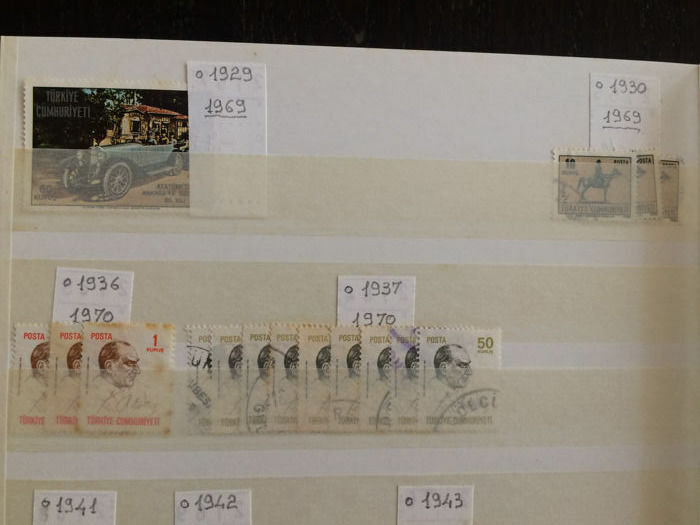 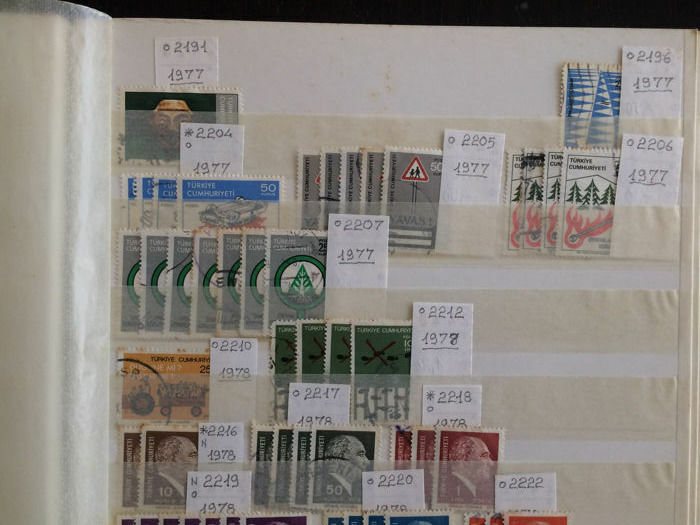 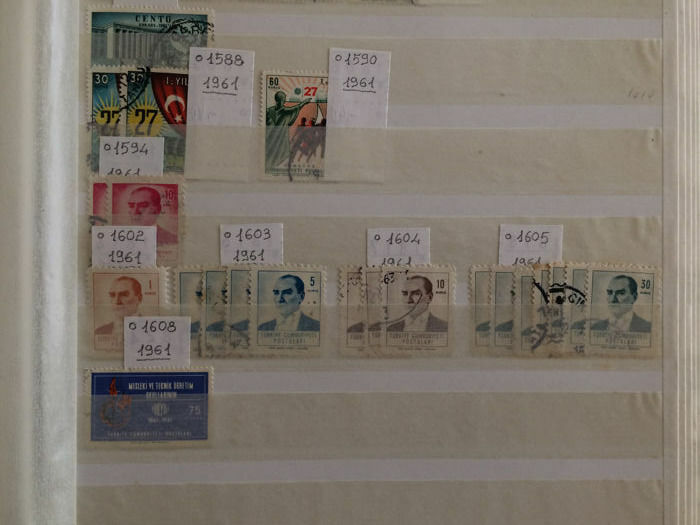 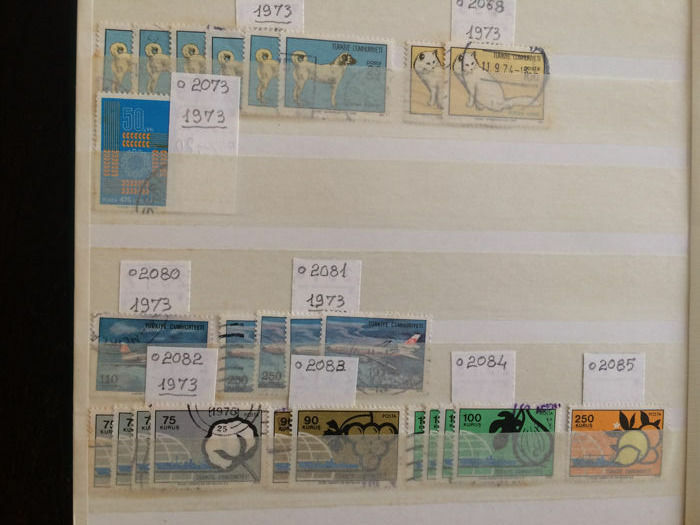 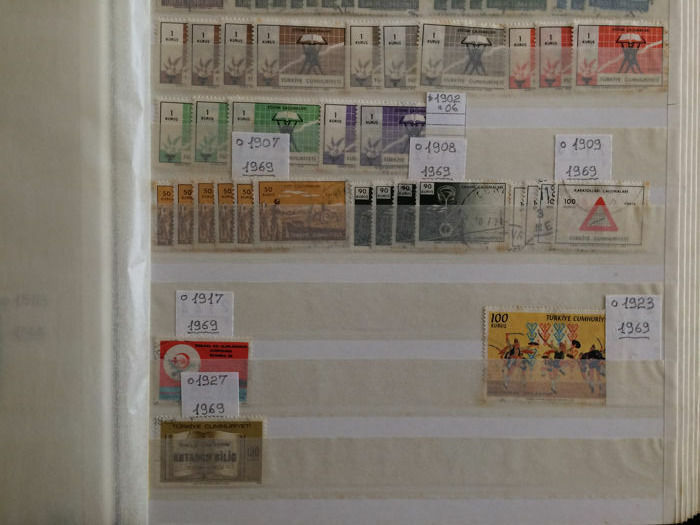 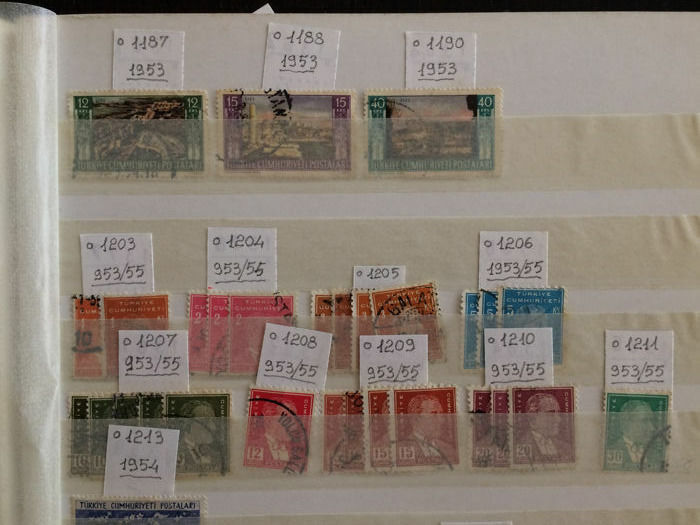 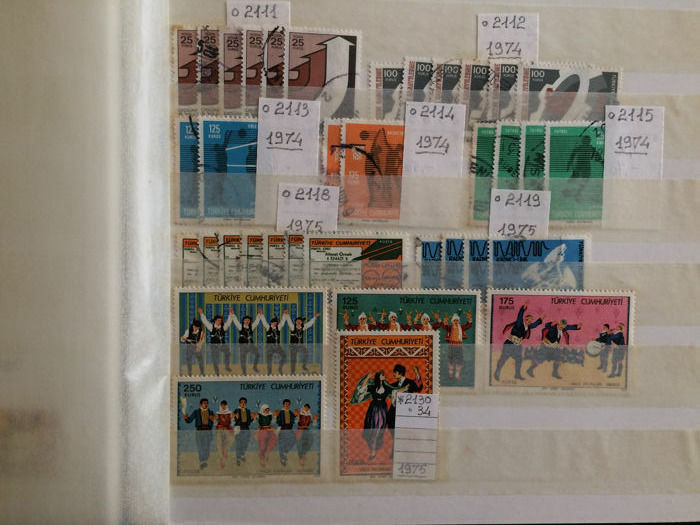 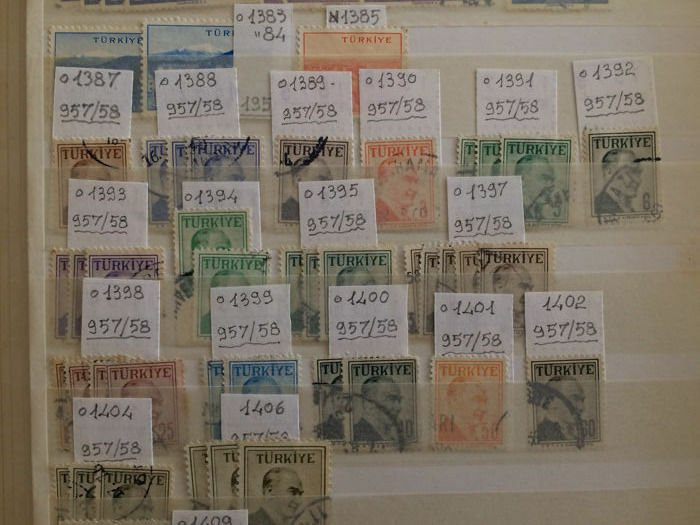 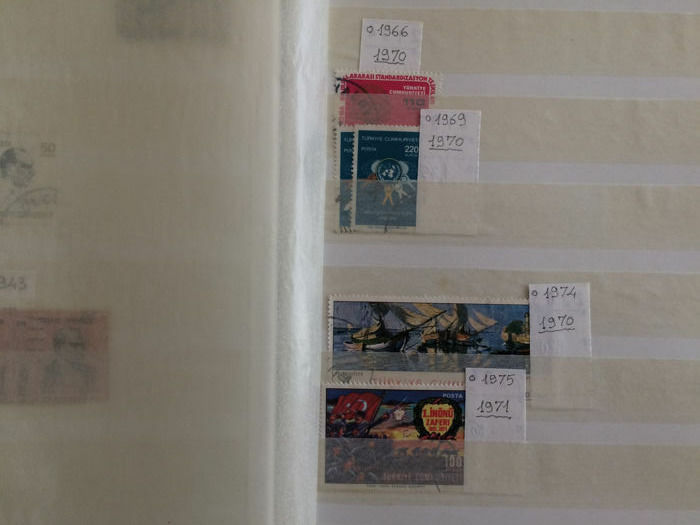 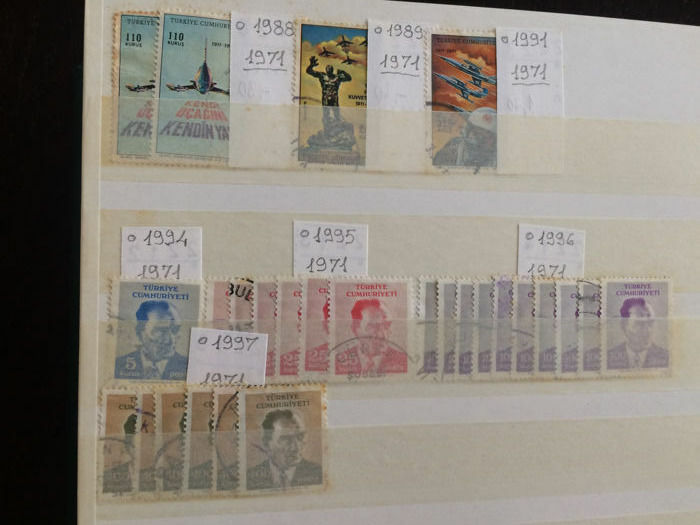 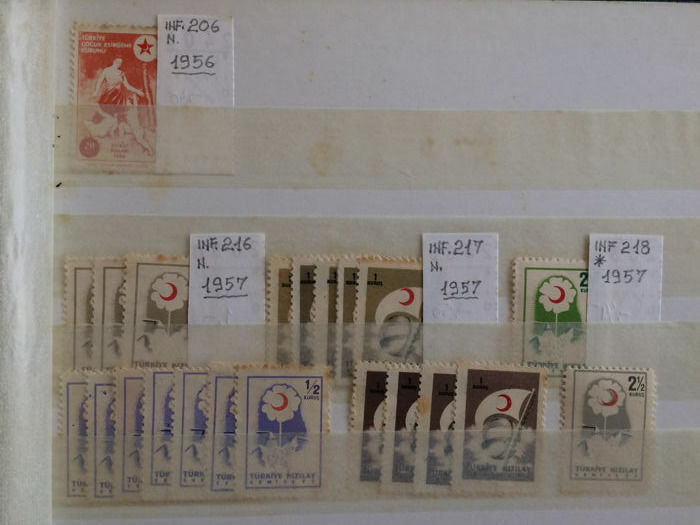 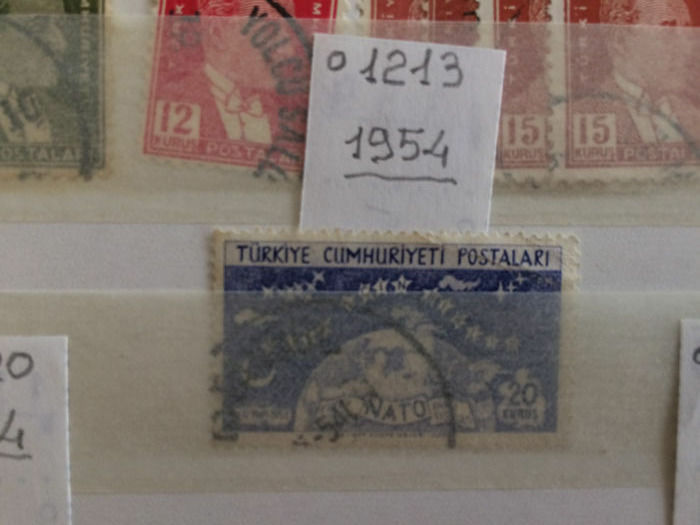 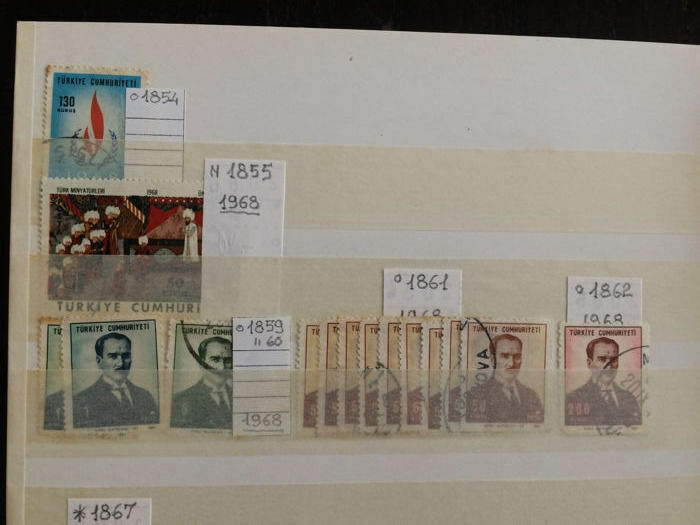 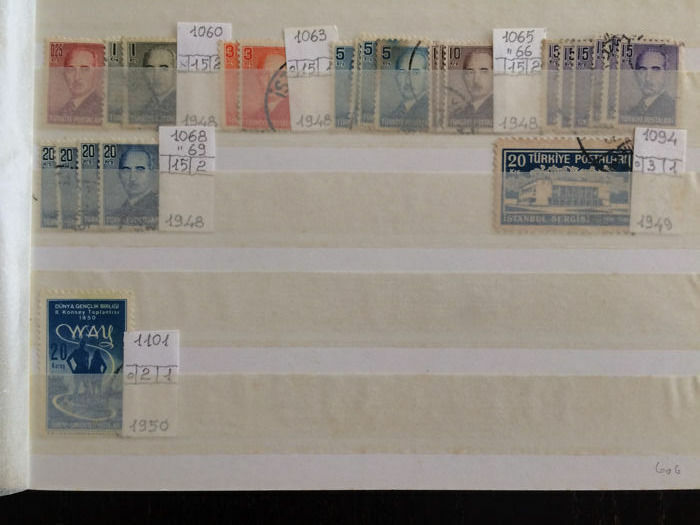 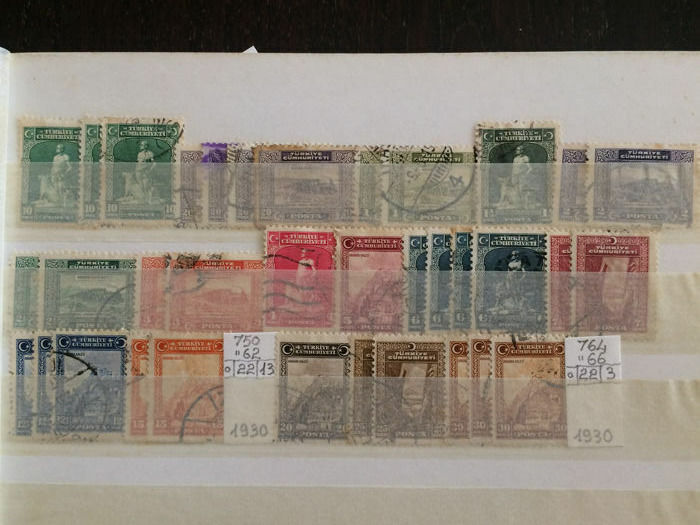 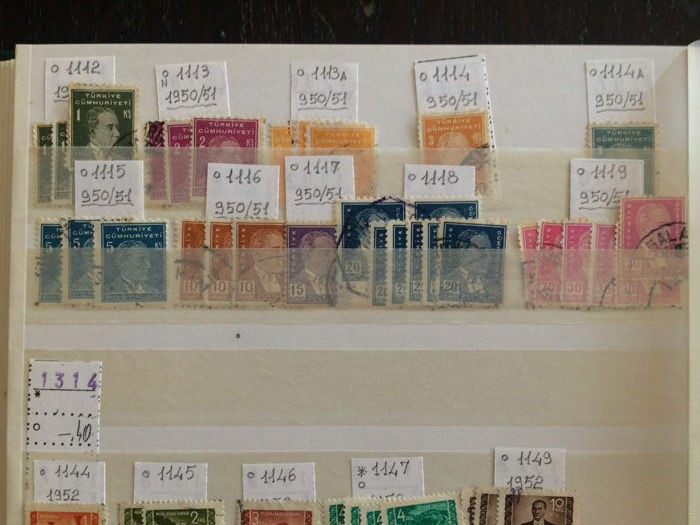 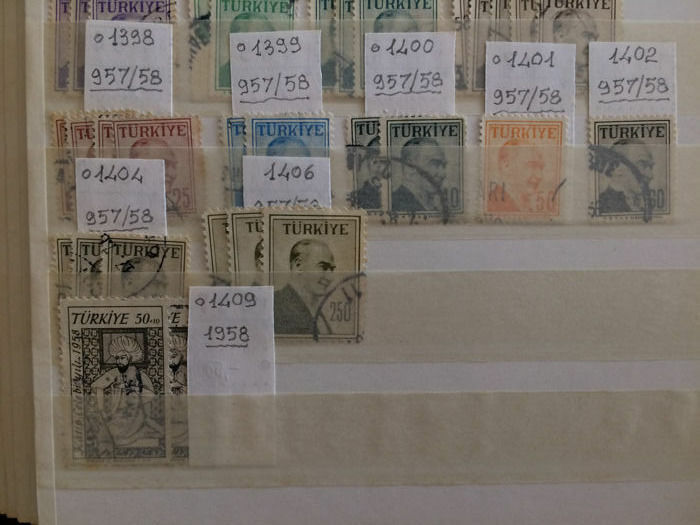 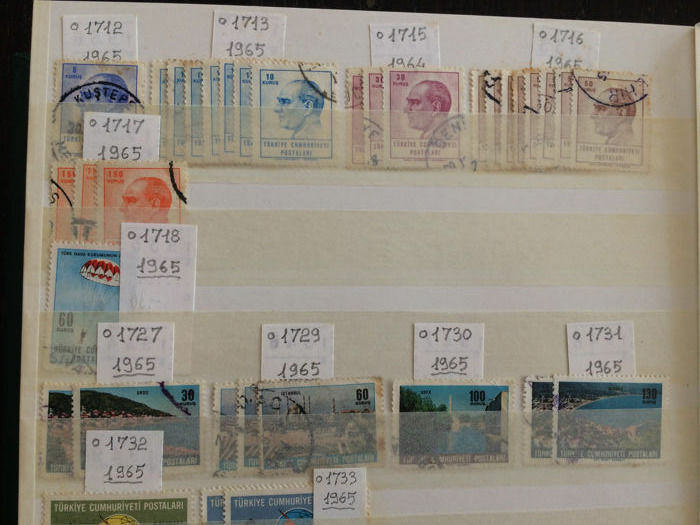 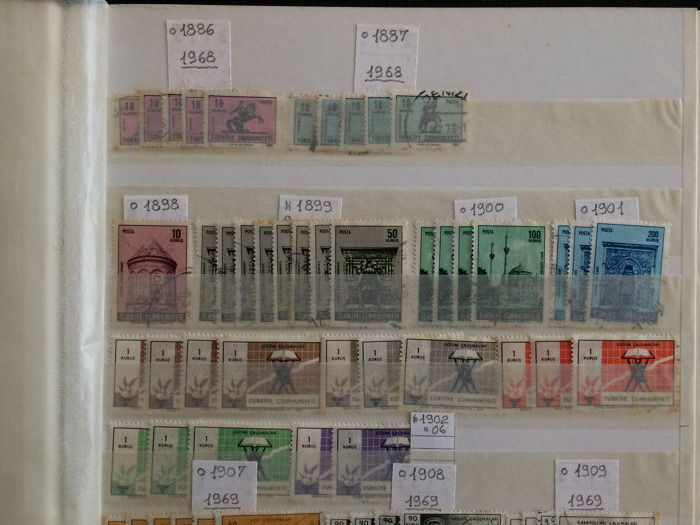 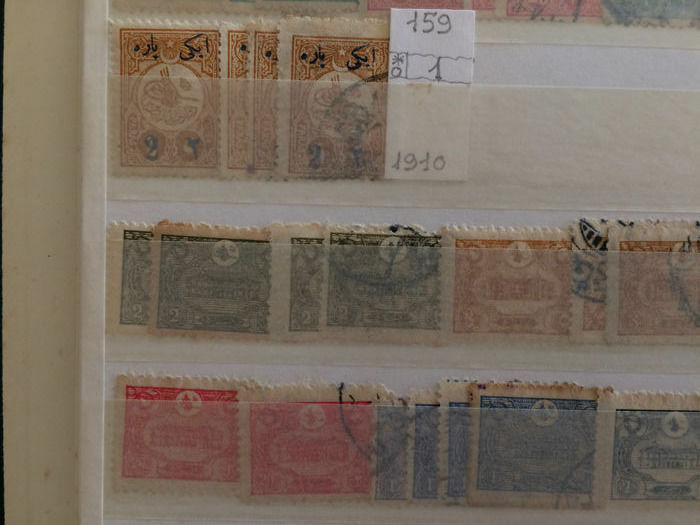 Beatiful collection, starting from classics, including airmail, taxes, occupations, etc. 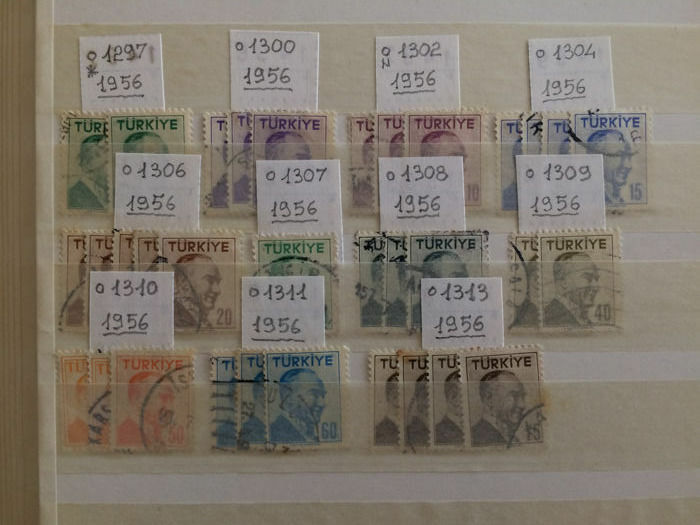 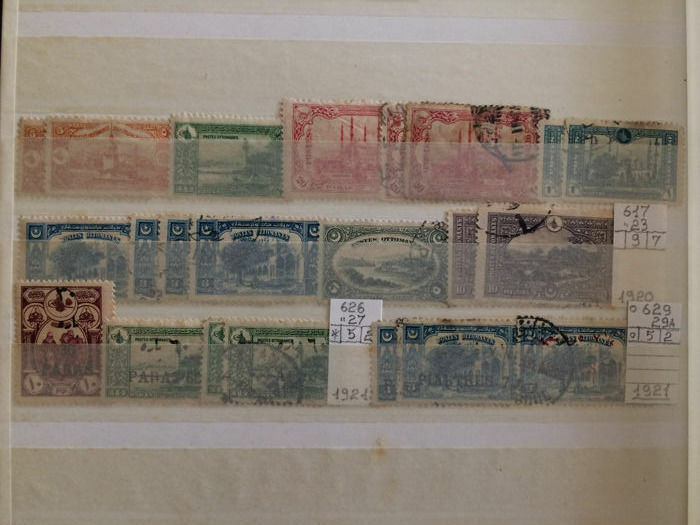 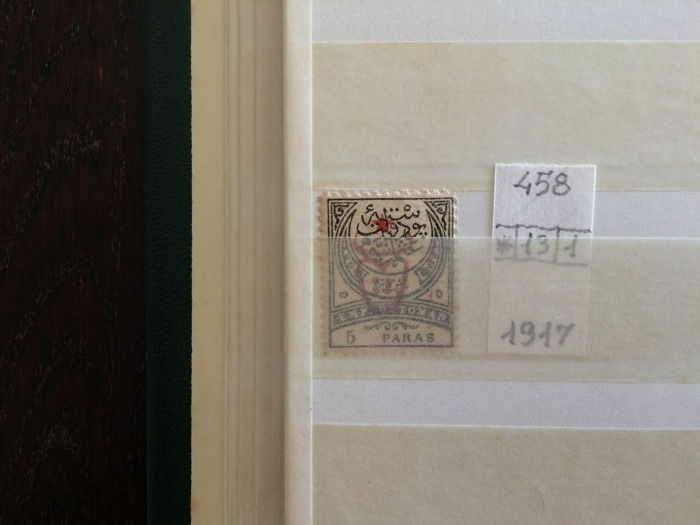 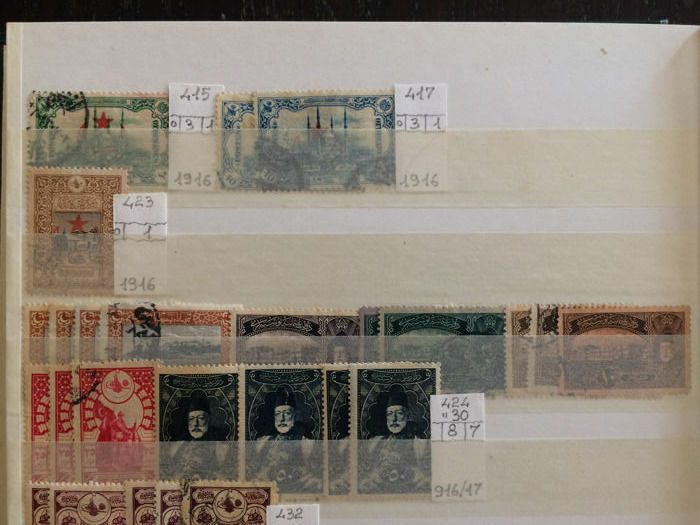 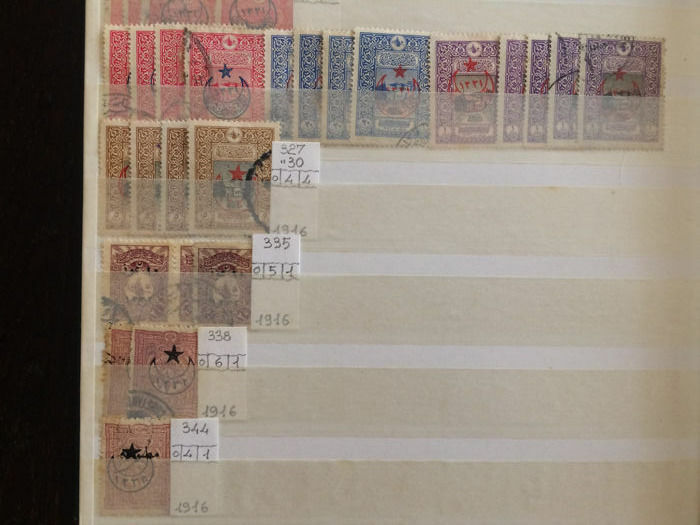 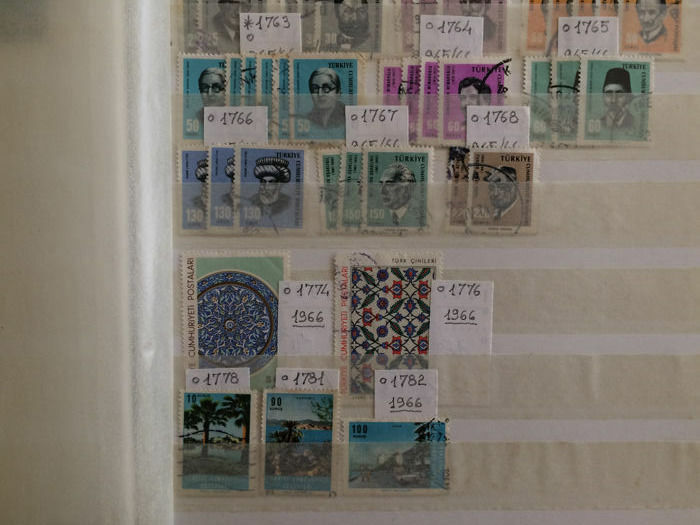 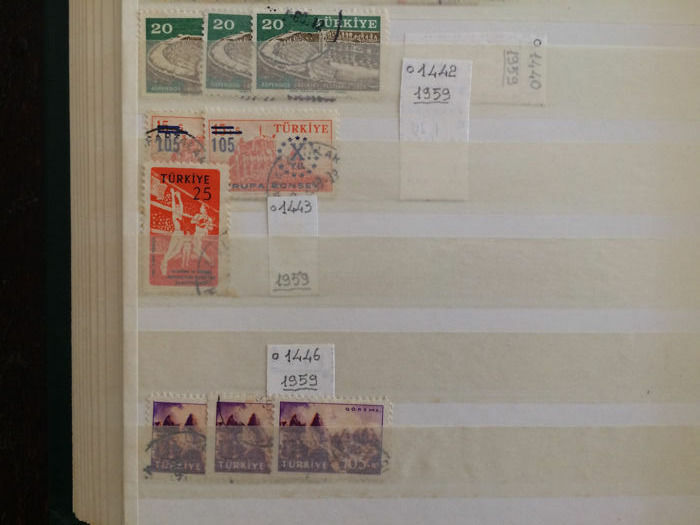 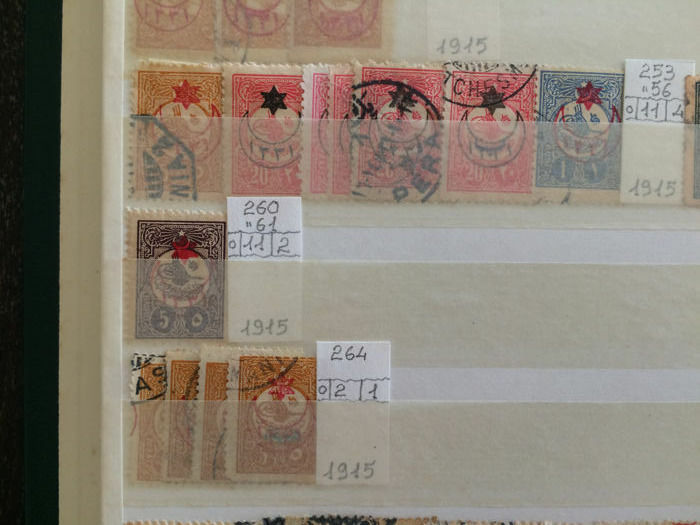 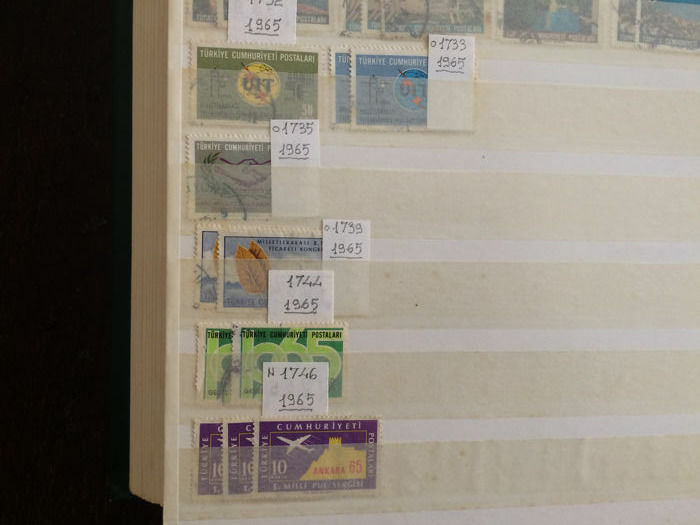 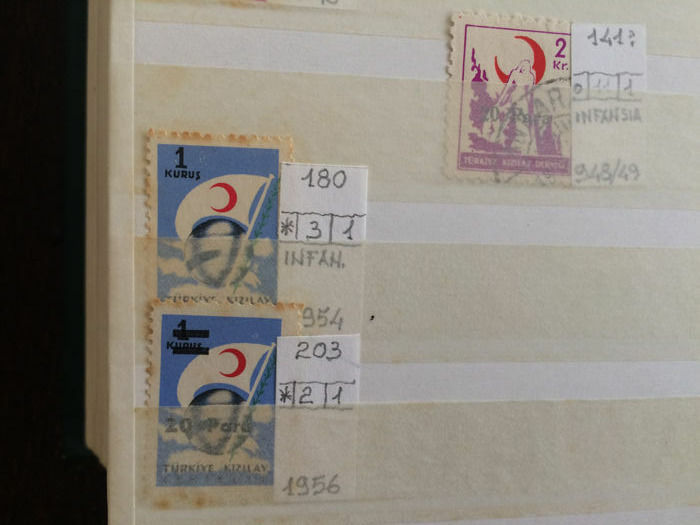 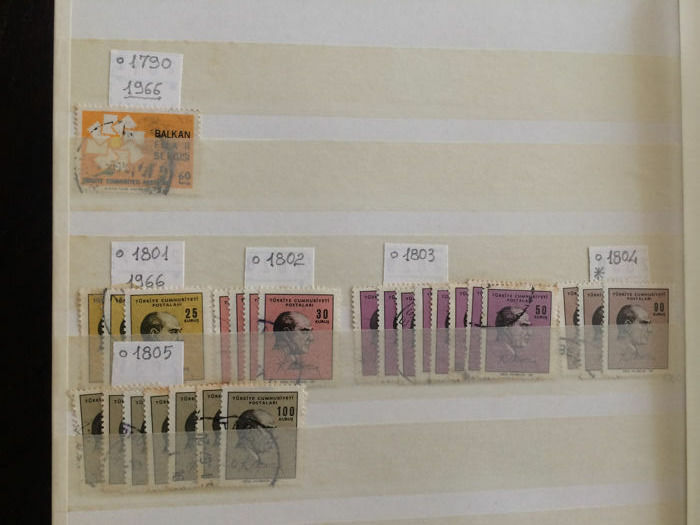 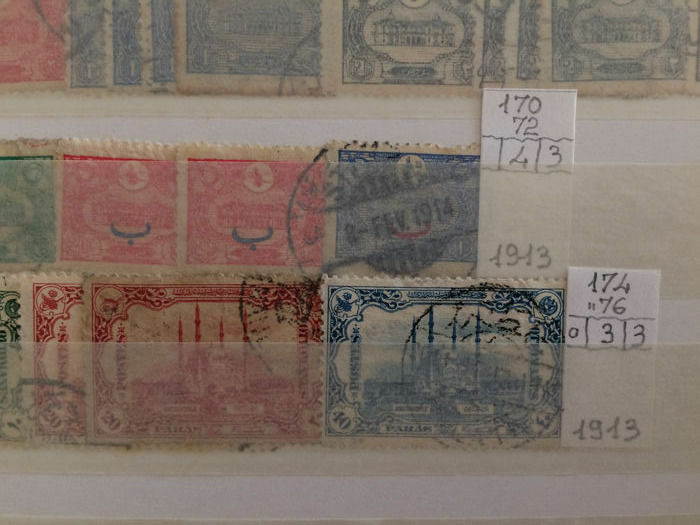 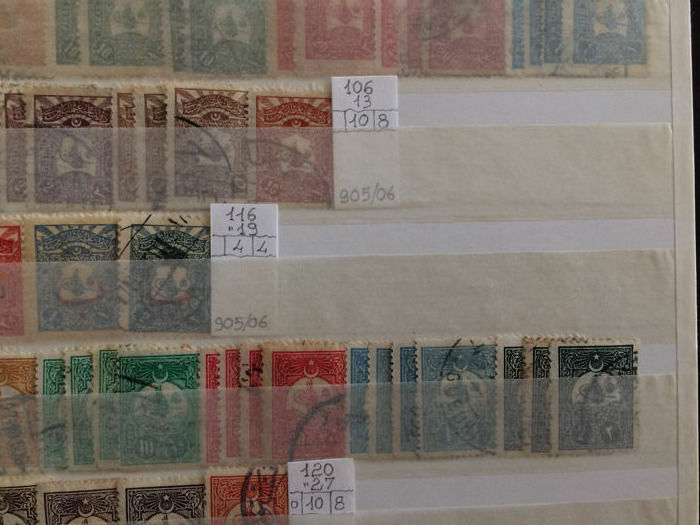 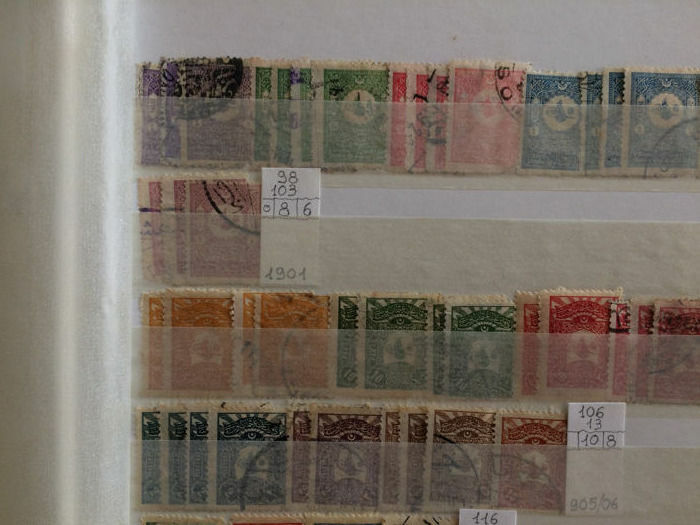 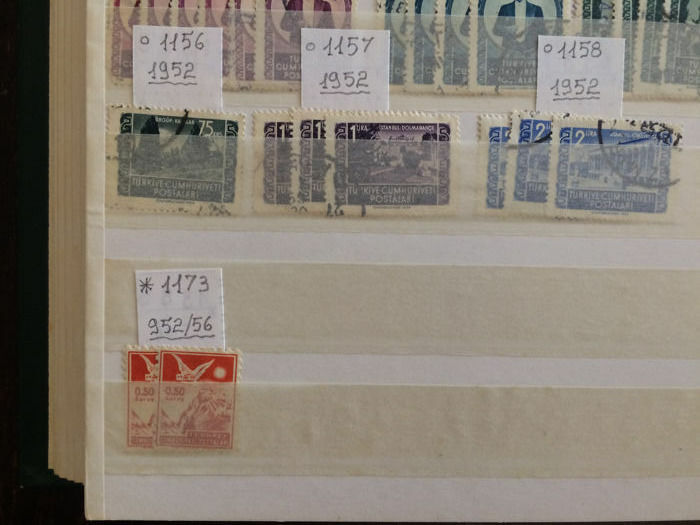 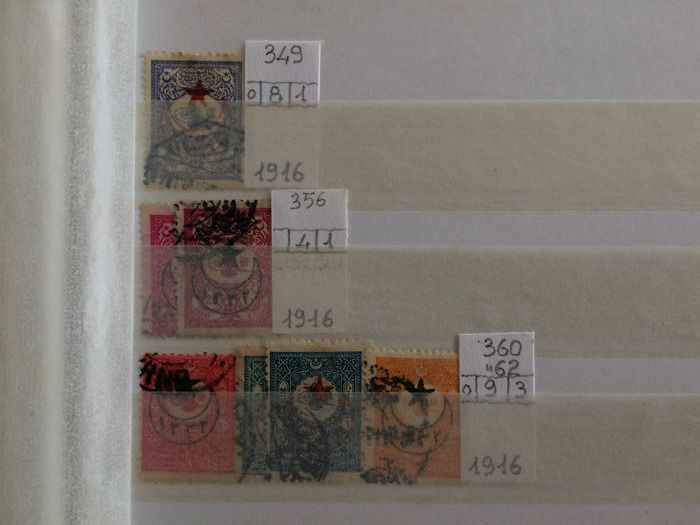 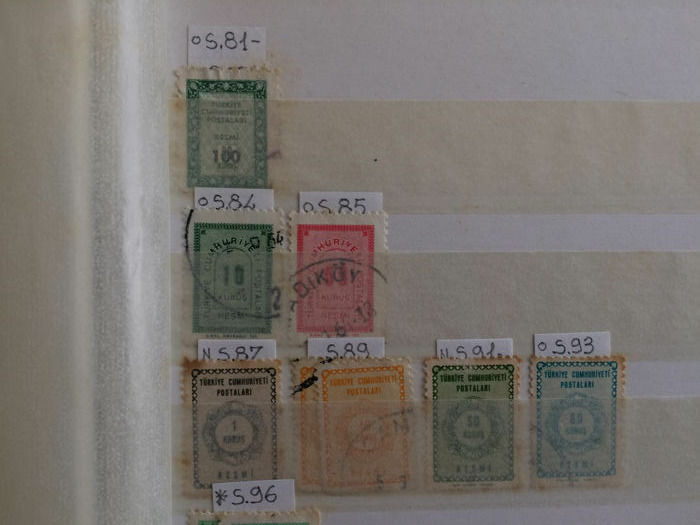 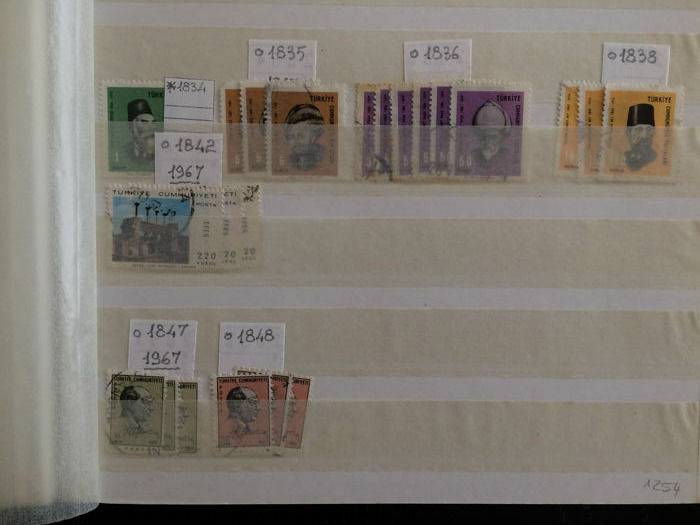 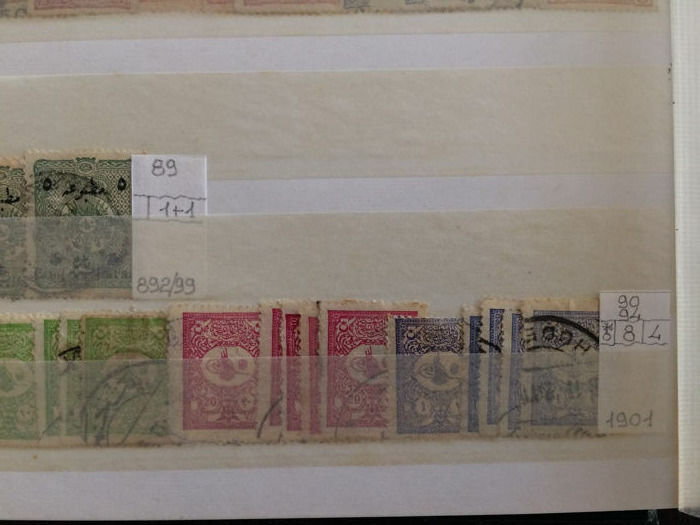 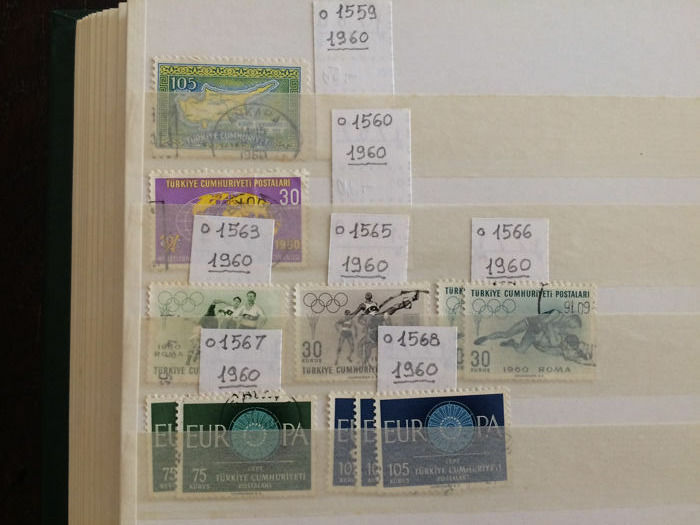 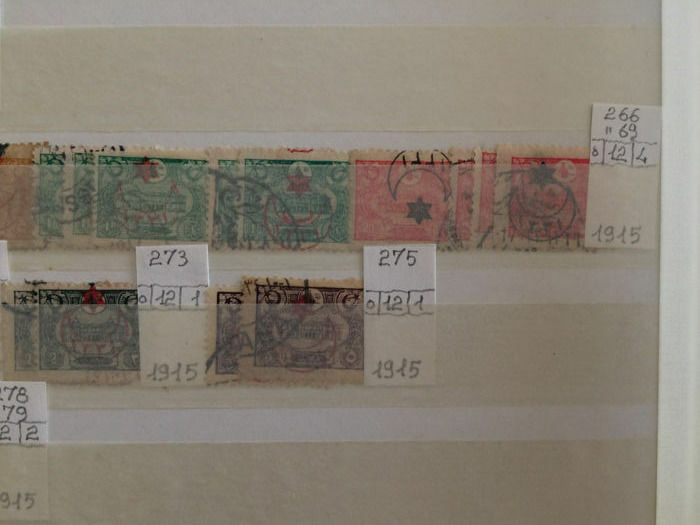 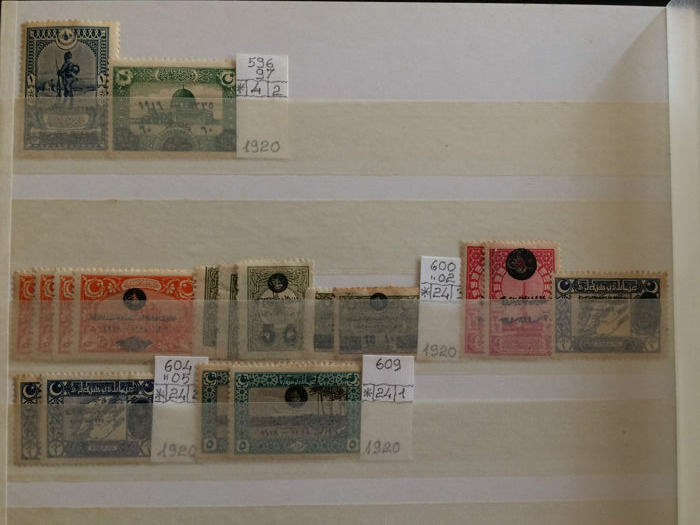 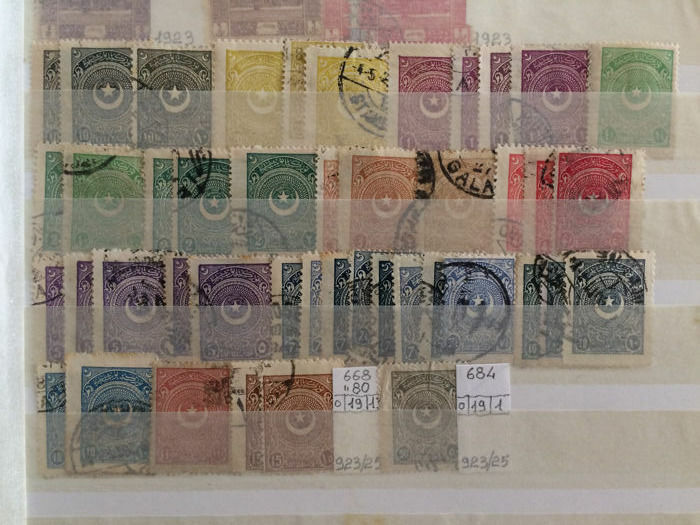 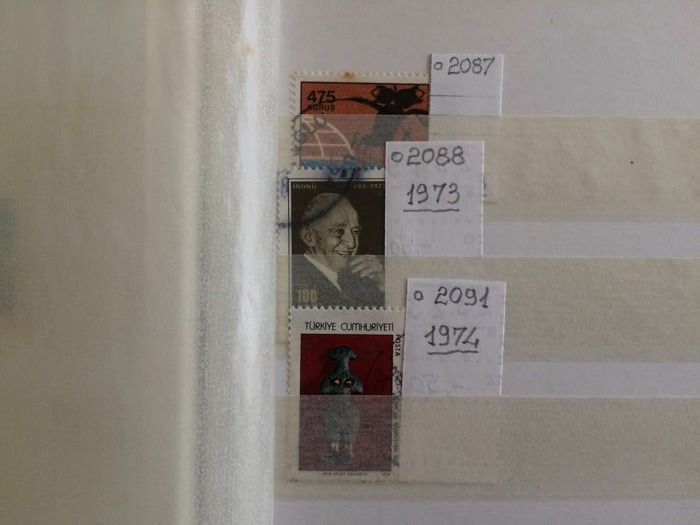 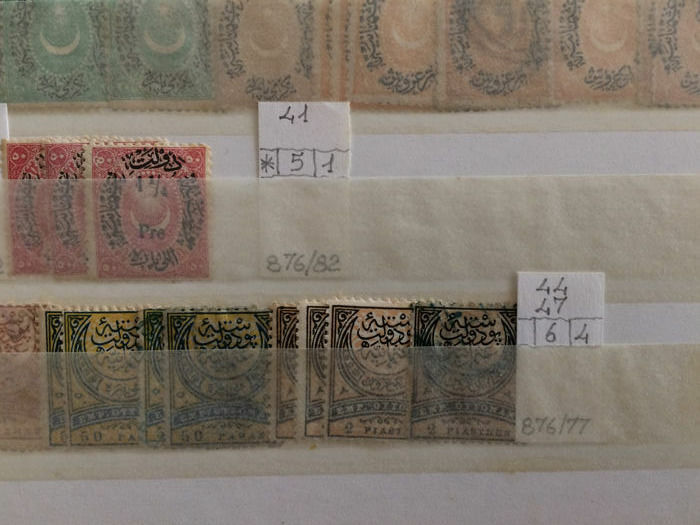 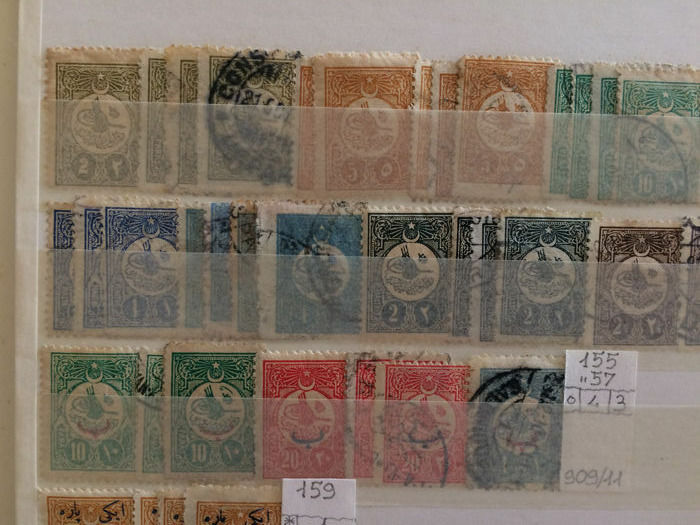 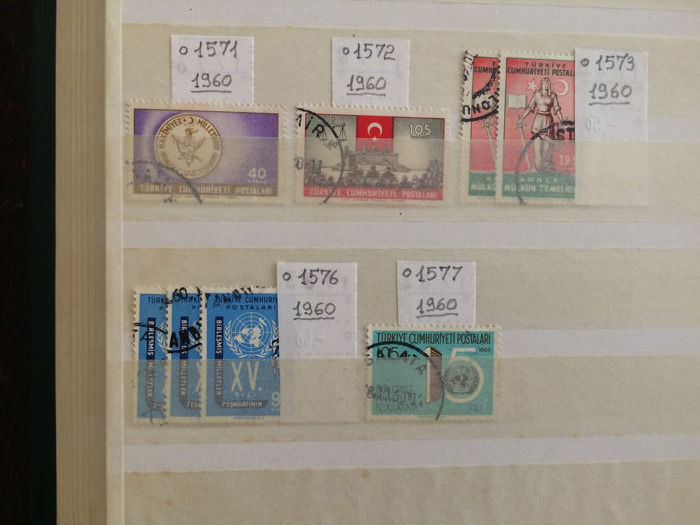 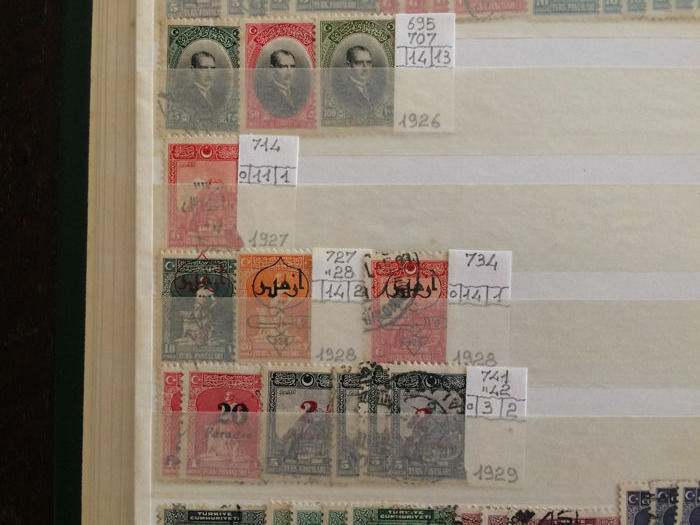 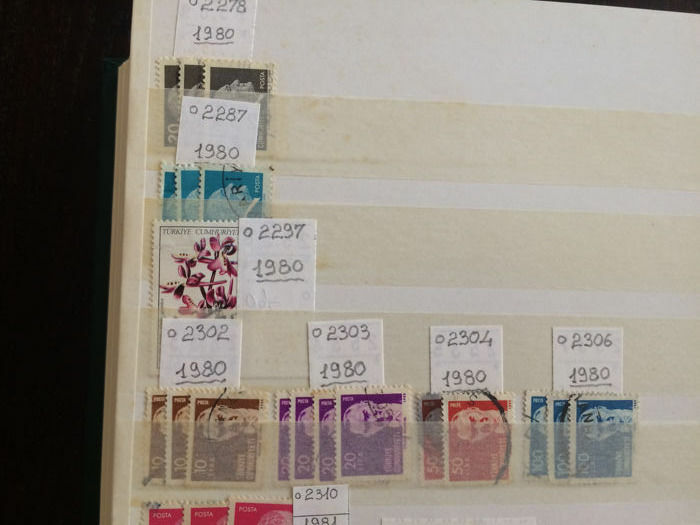 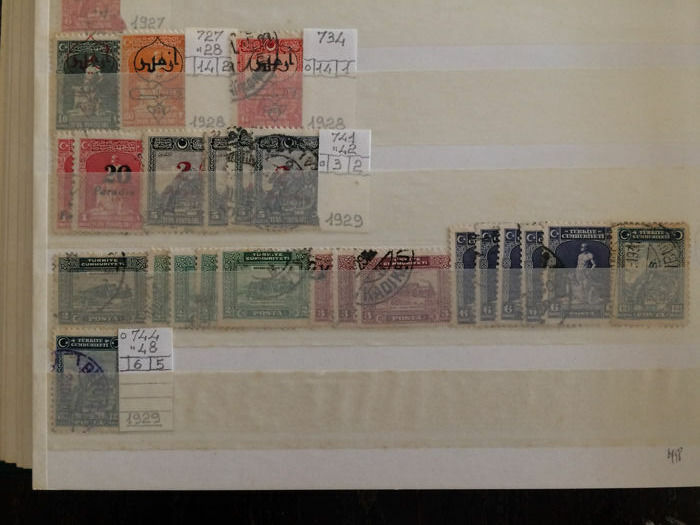 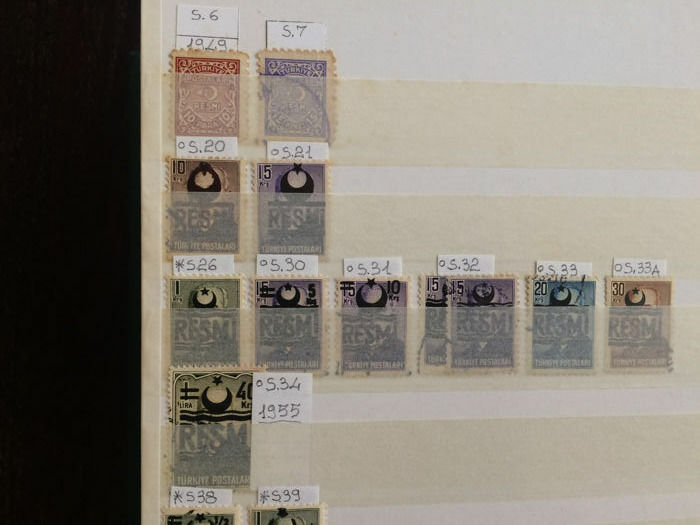 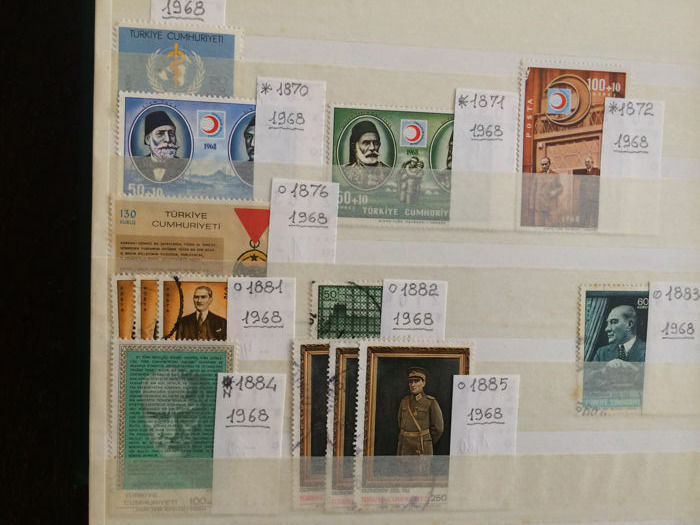 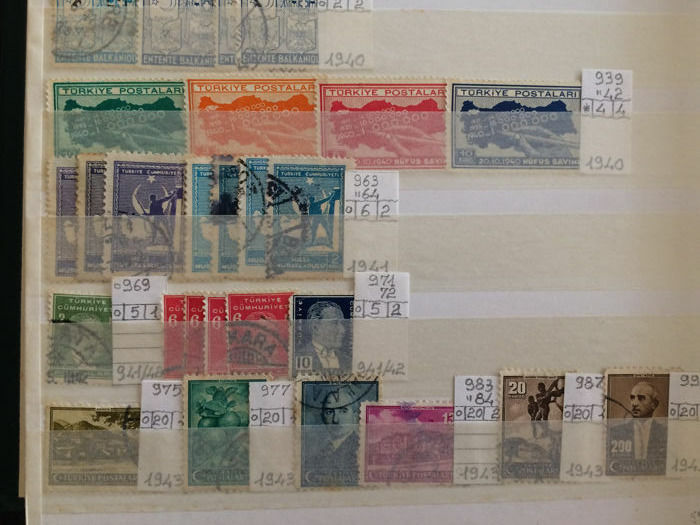 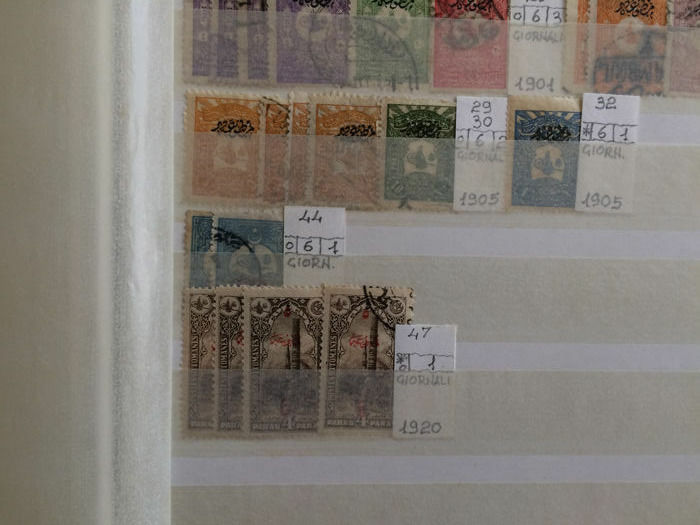 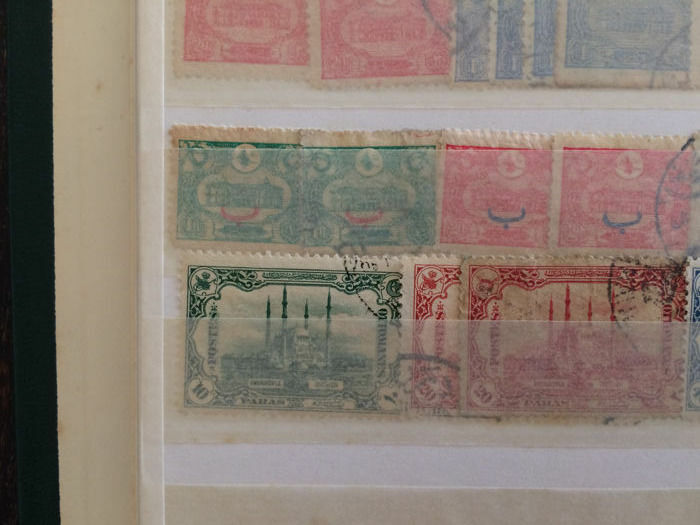 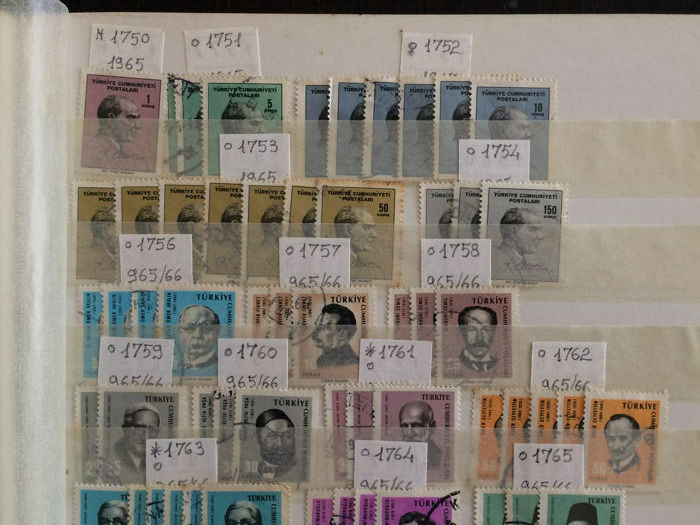 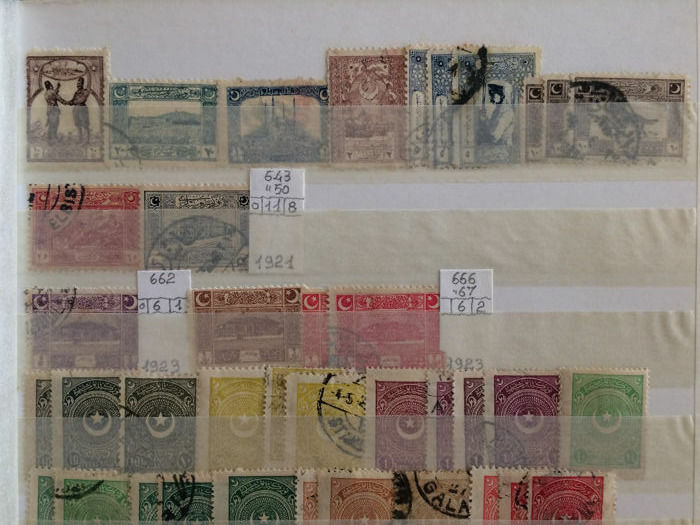 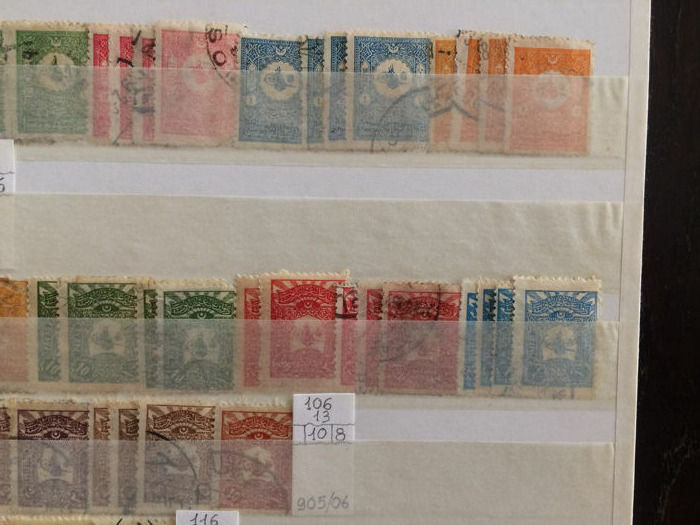 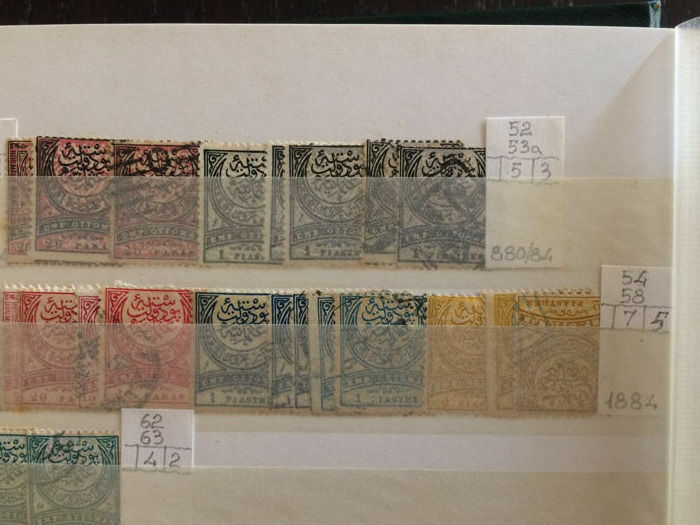 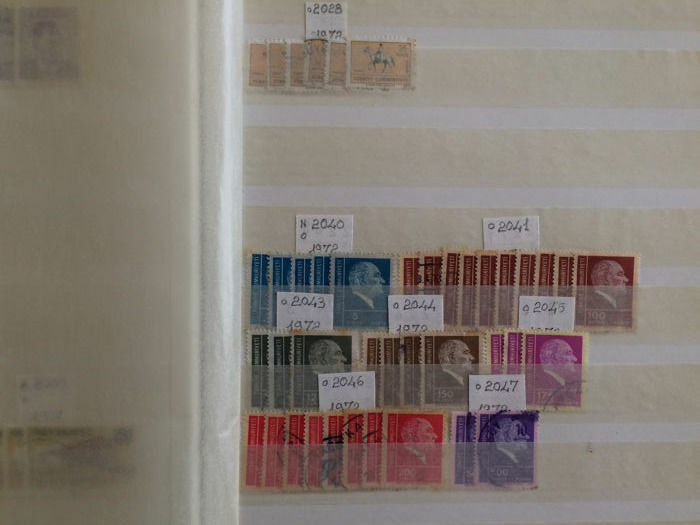 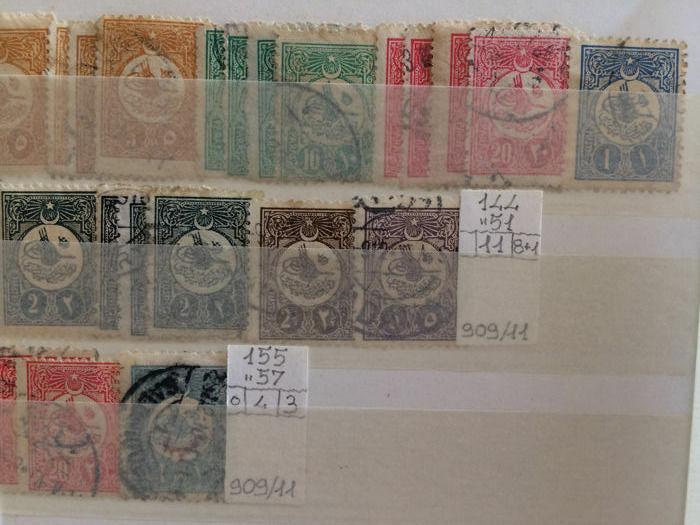 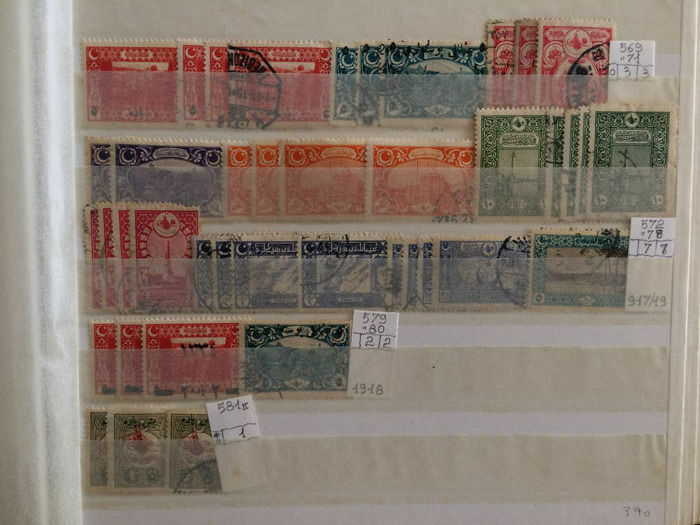 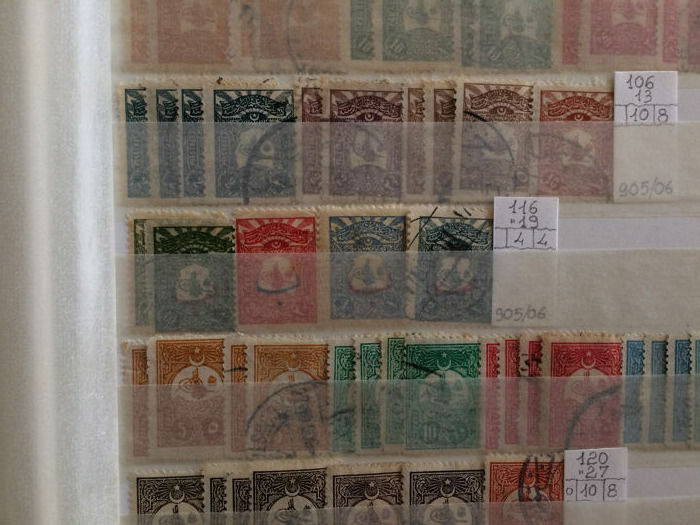 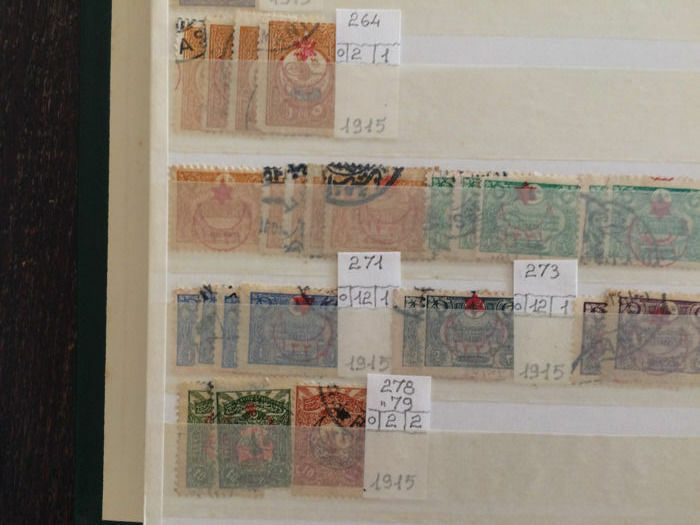 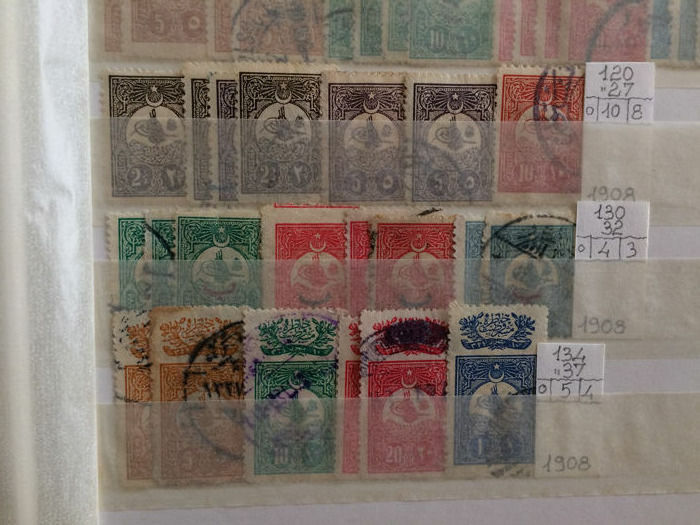 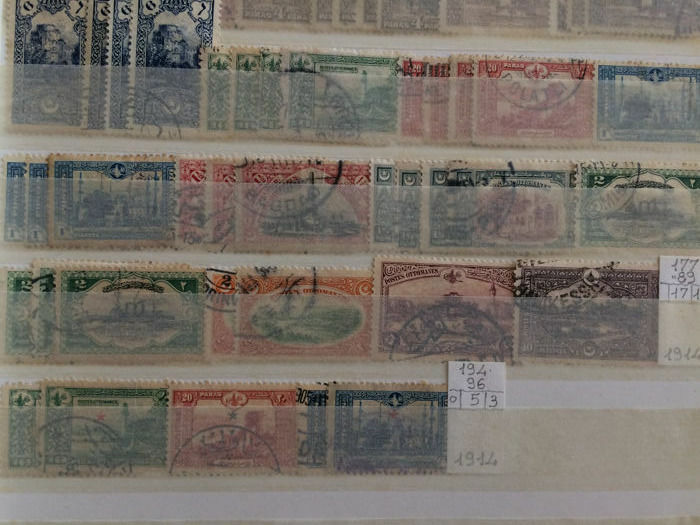 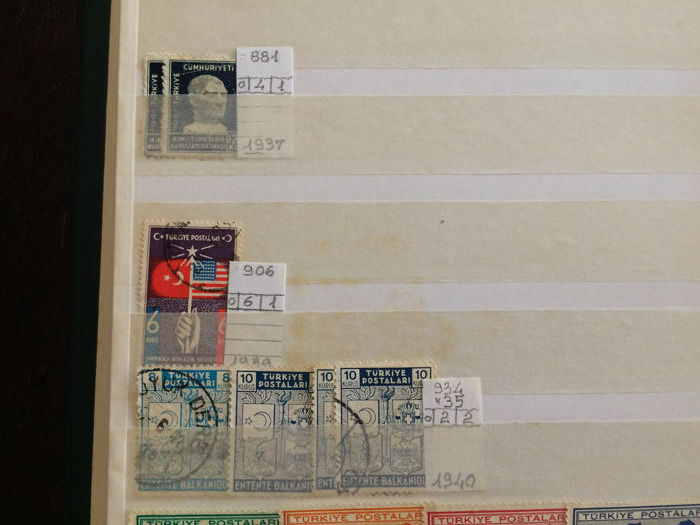 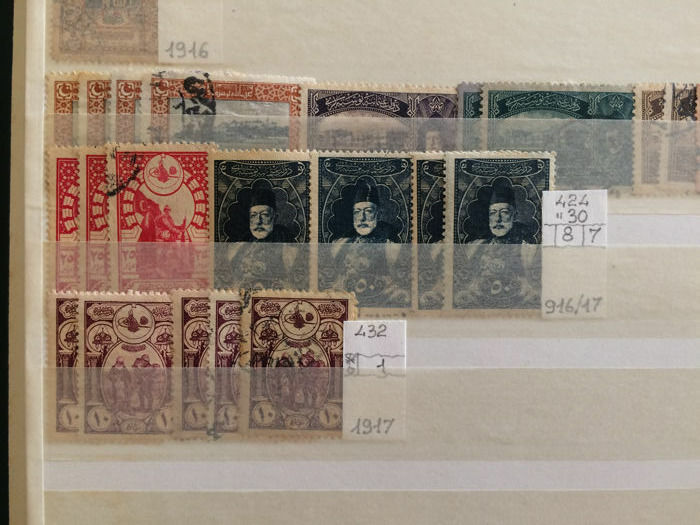 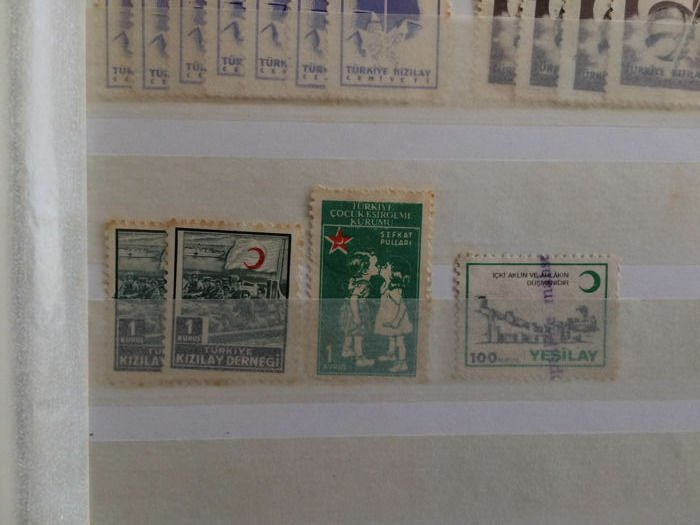 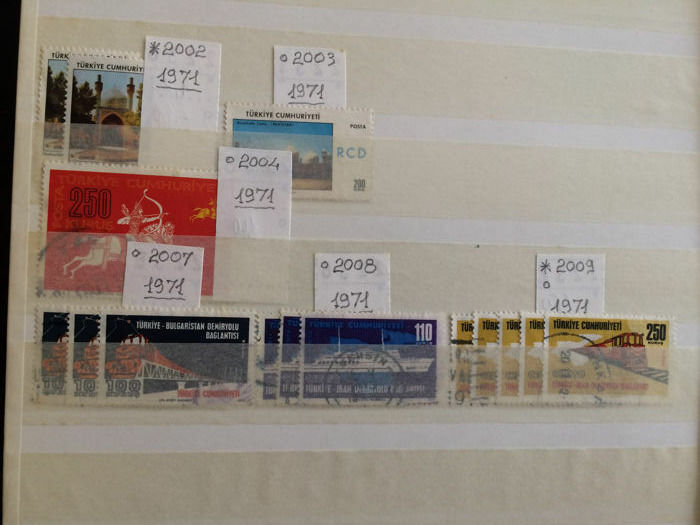 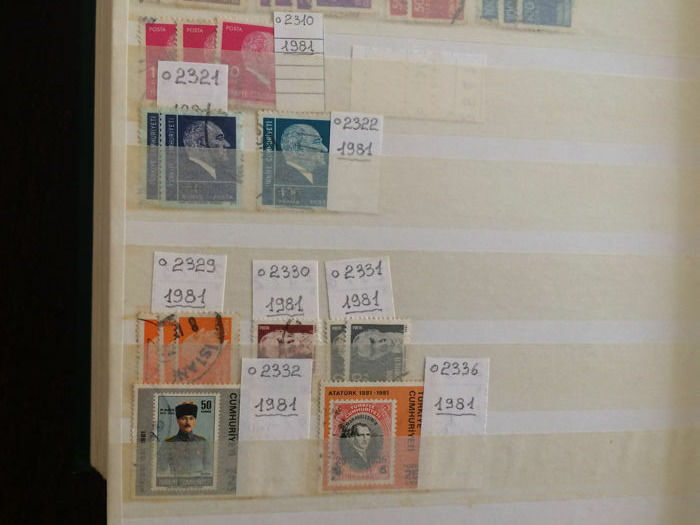 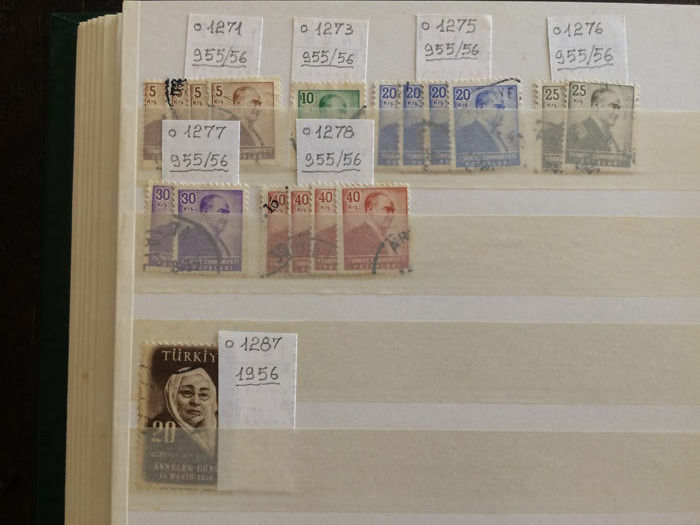 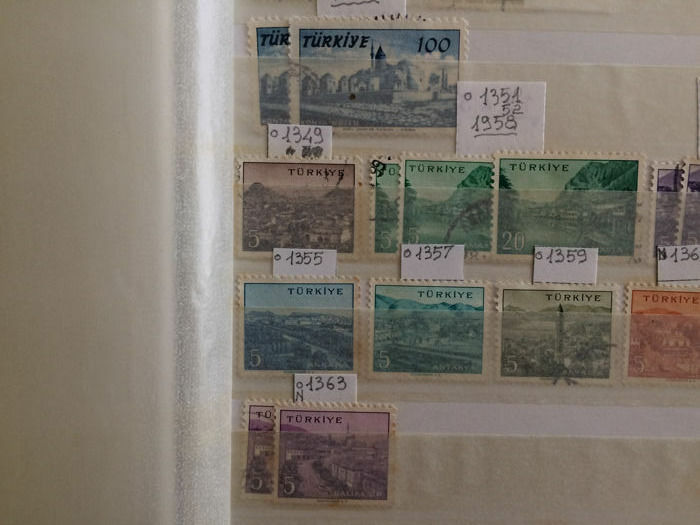 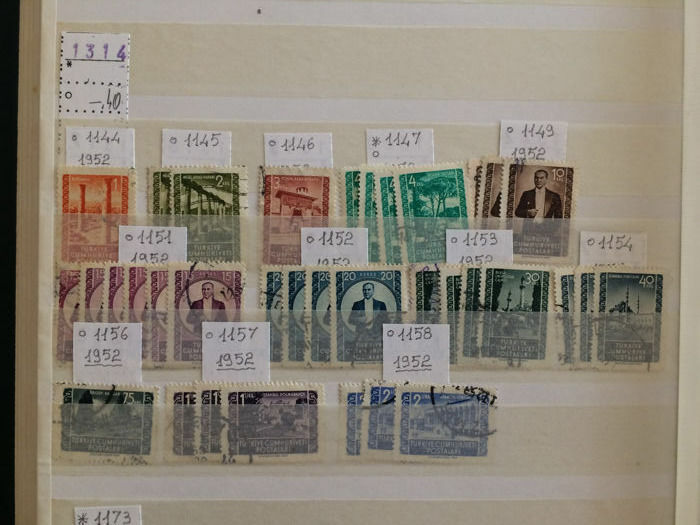 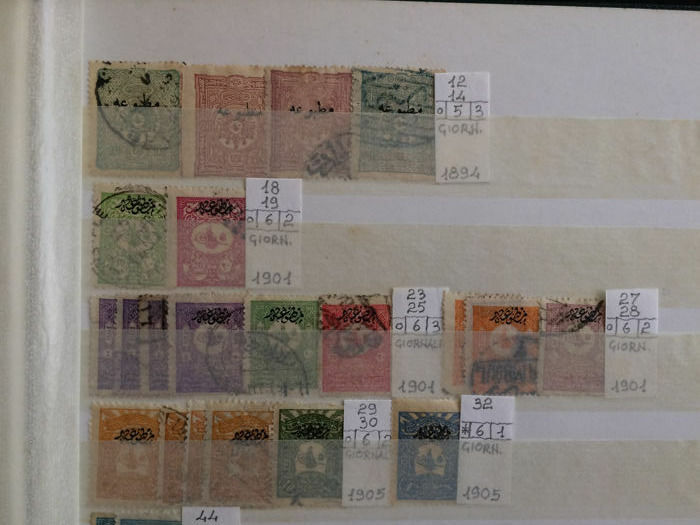 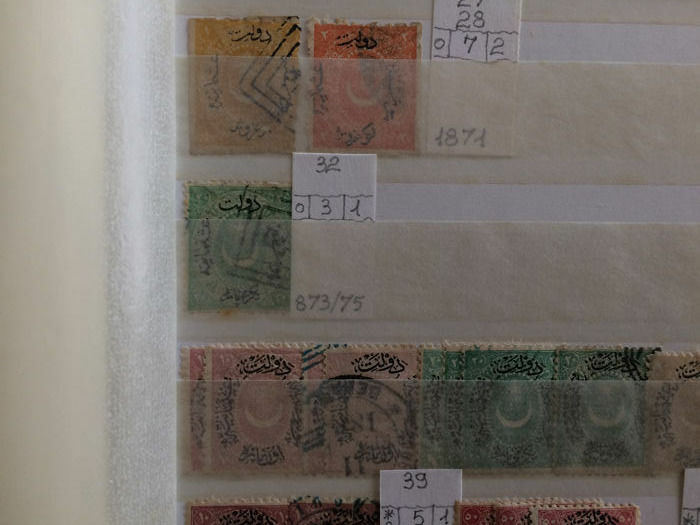 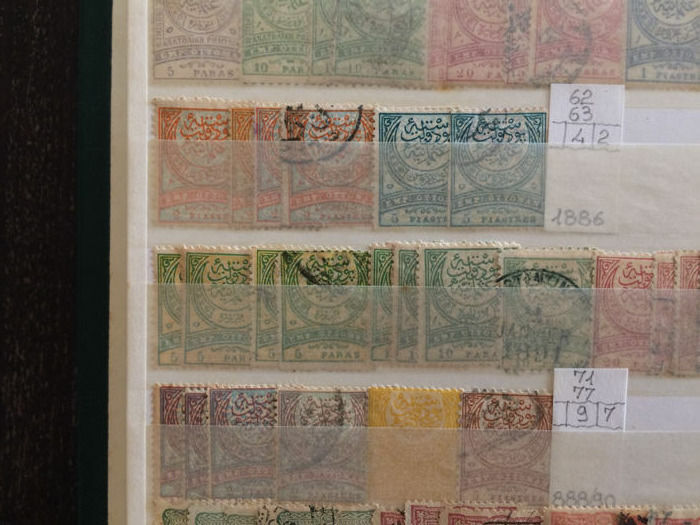 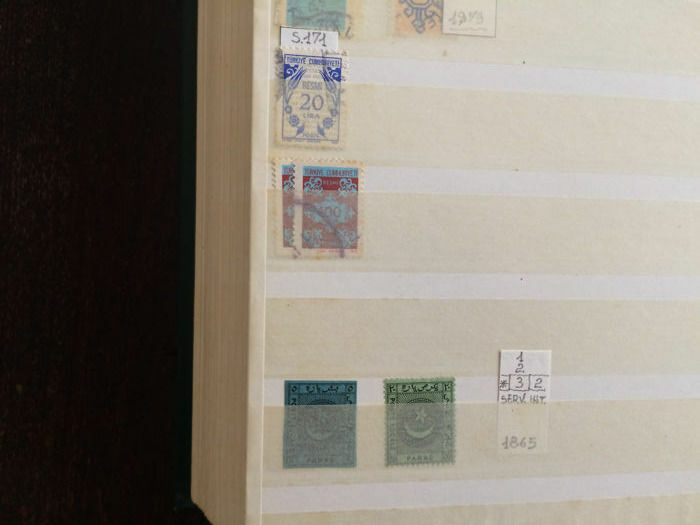 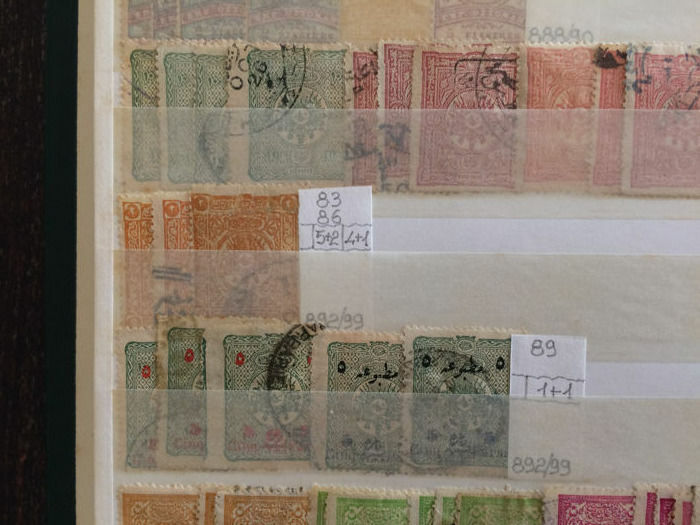 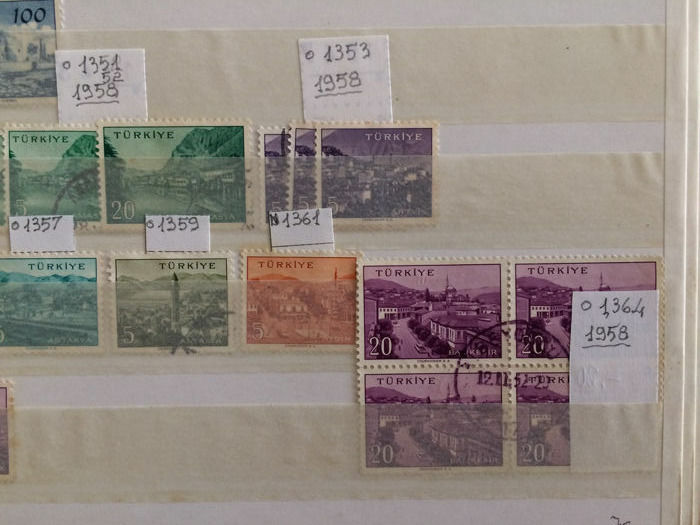 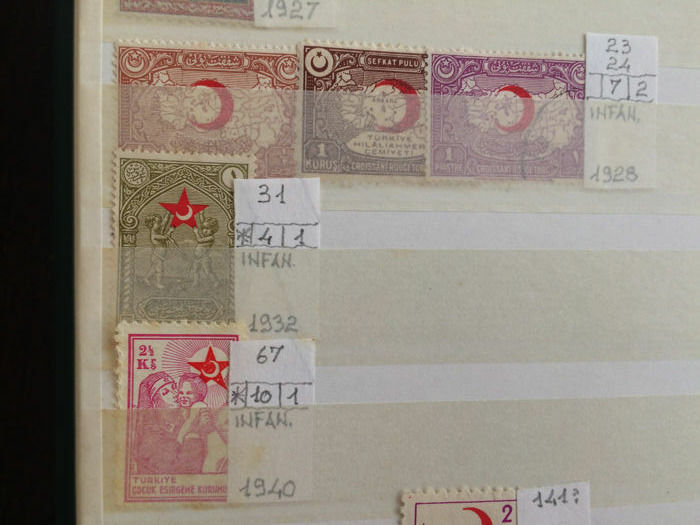 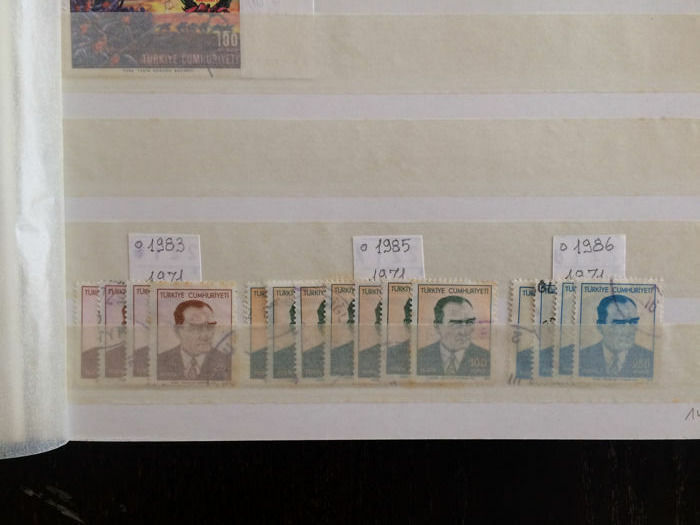 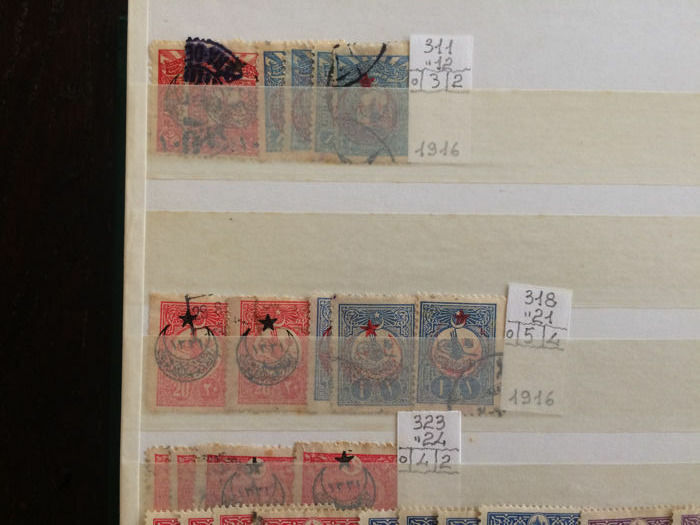 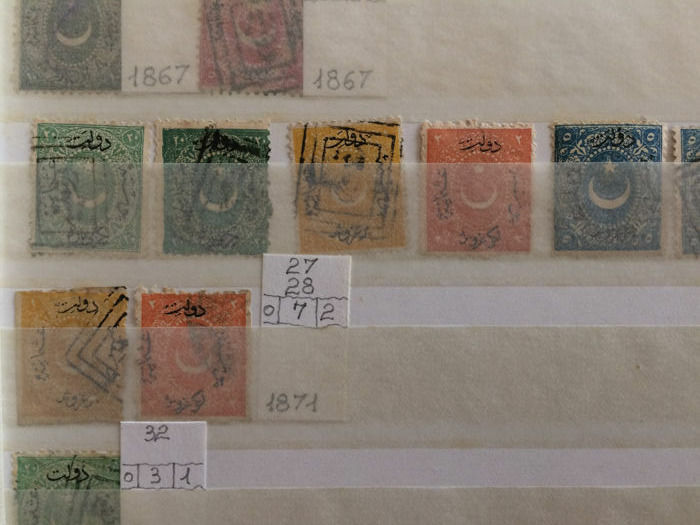 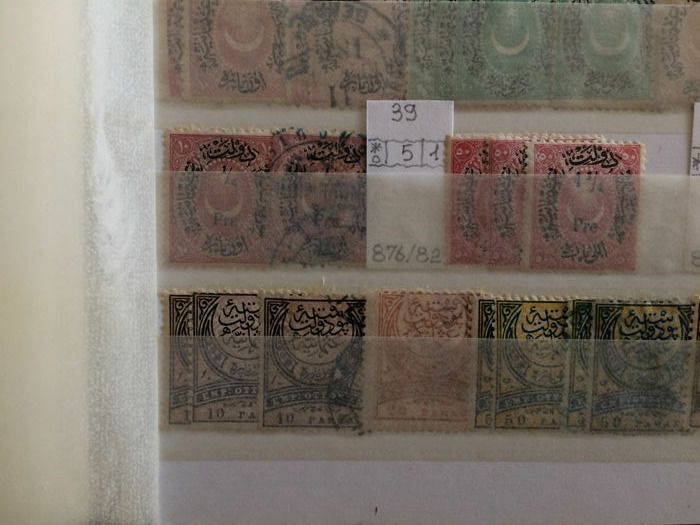 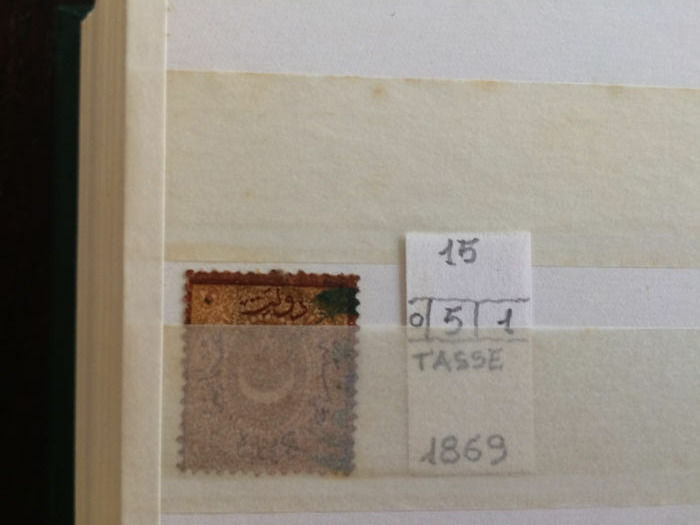 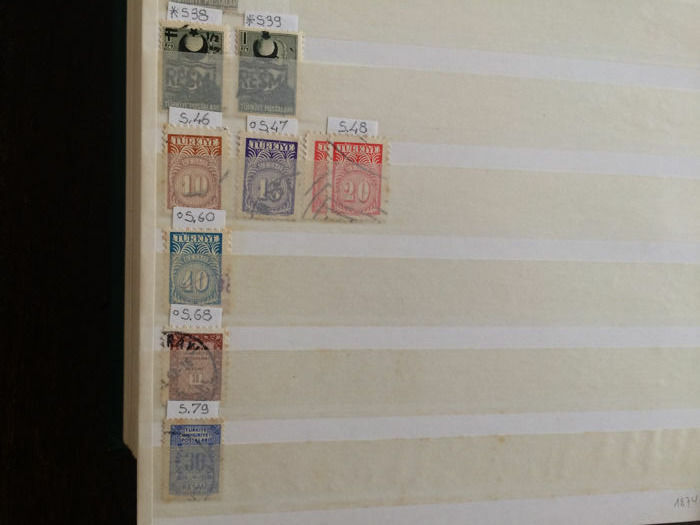 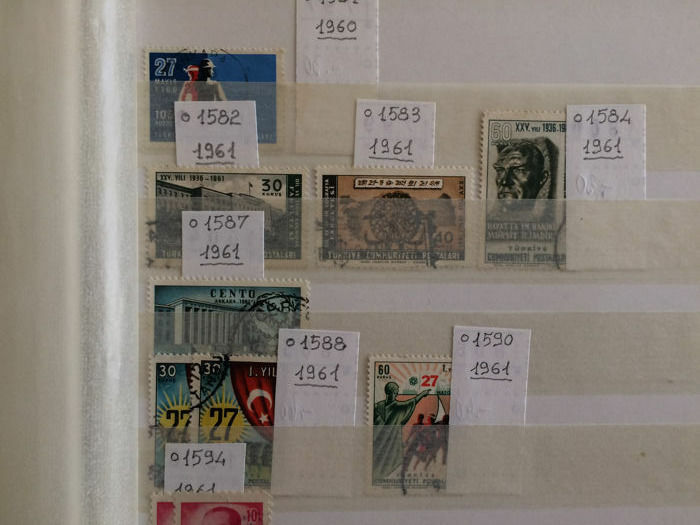 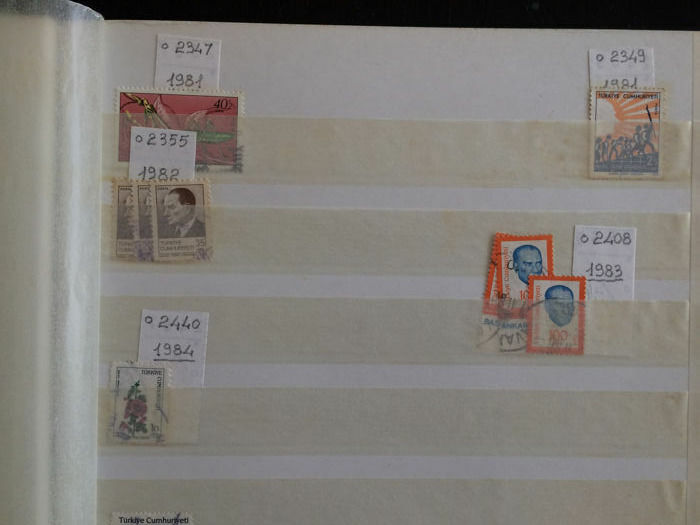 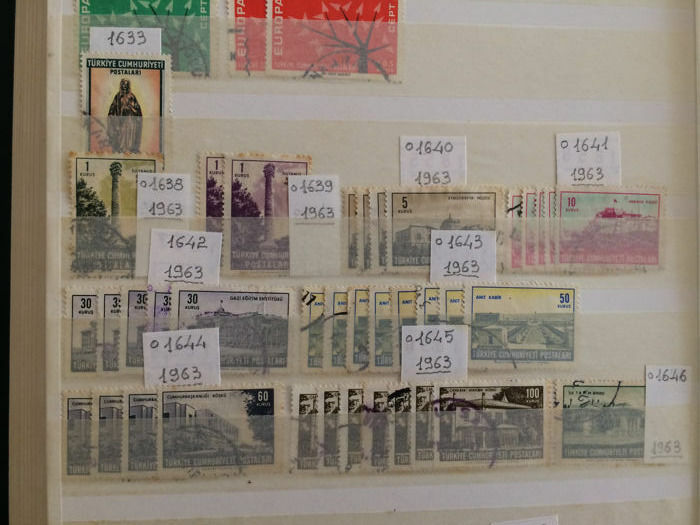 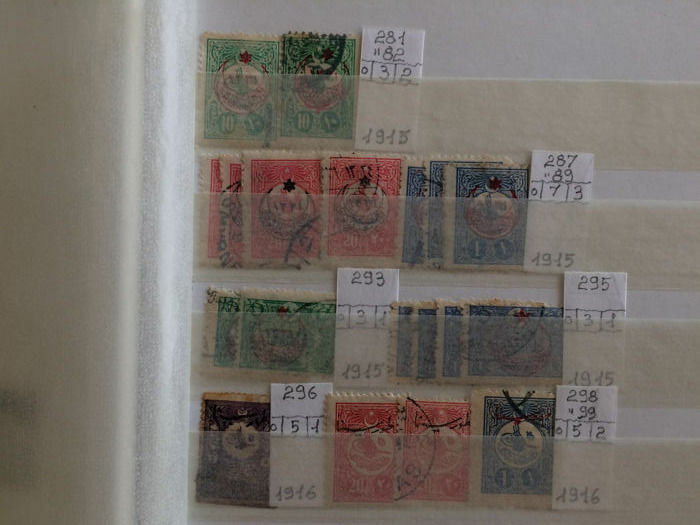 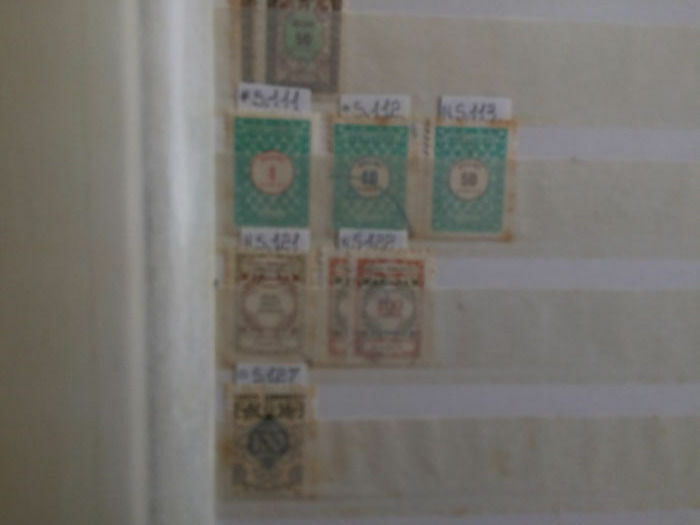 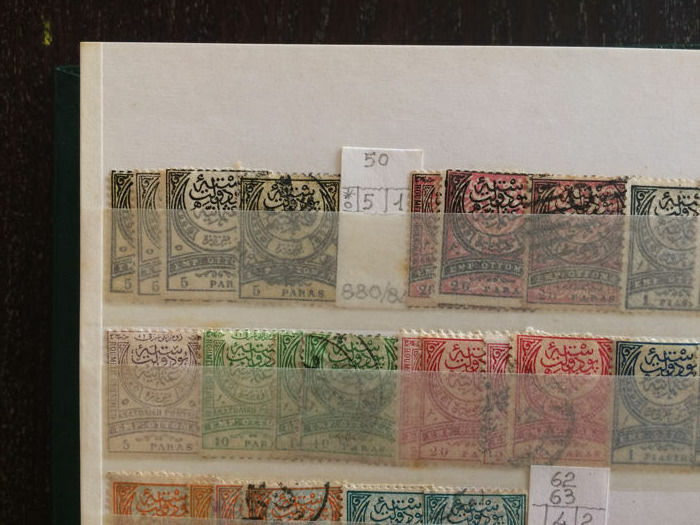 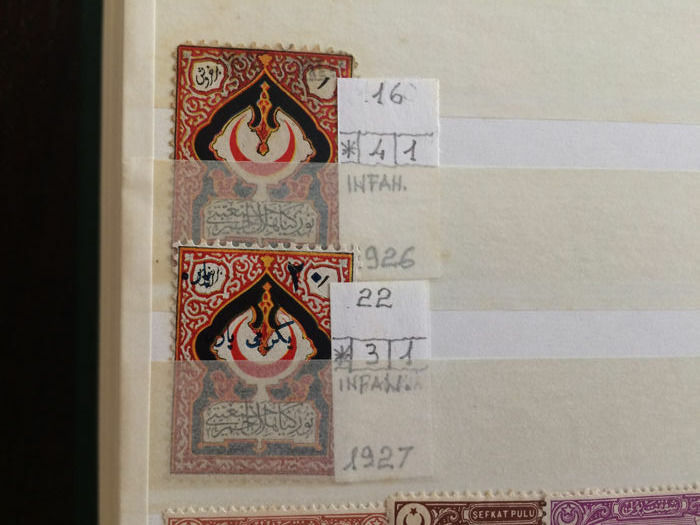 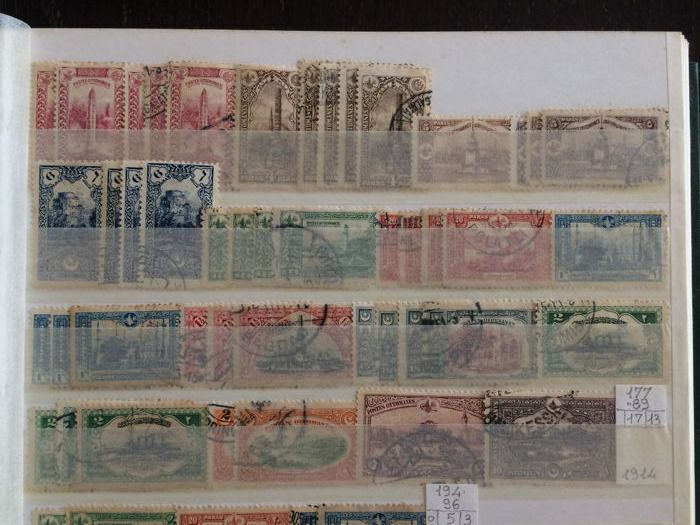 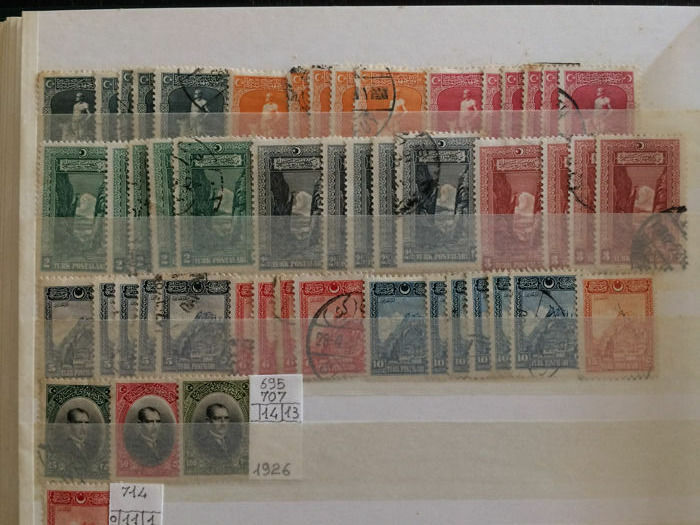 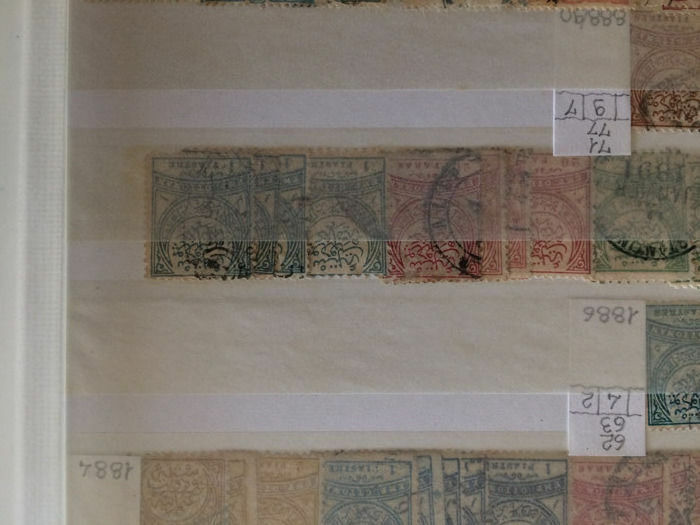 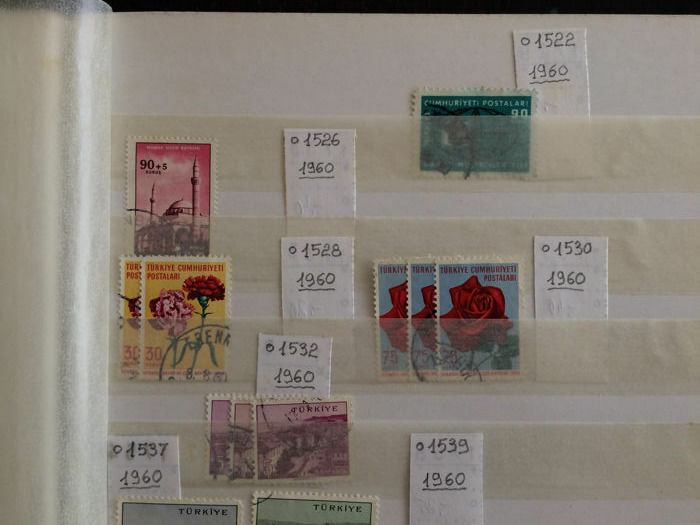 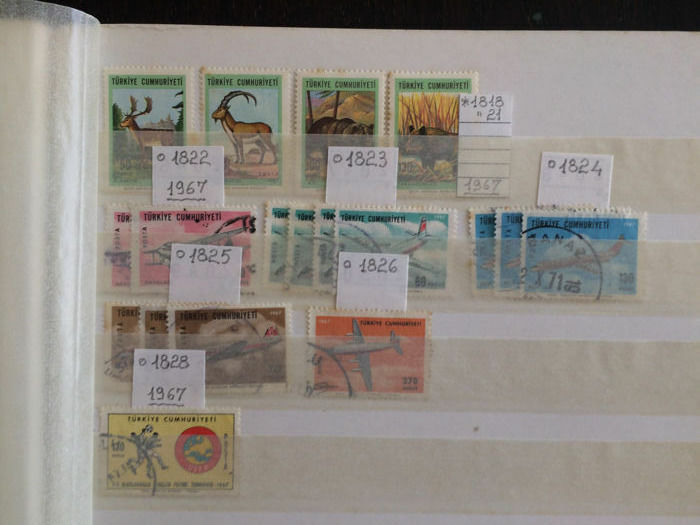 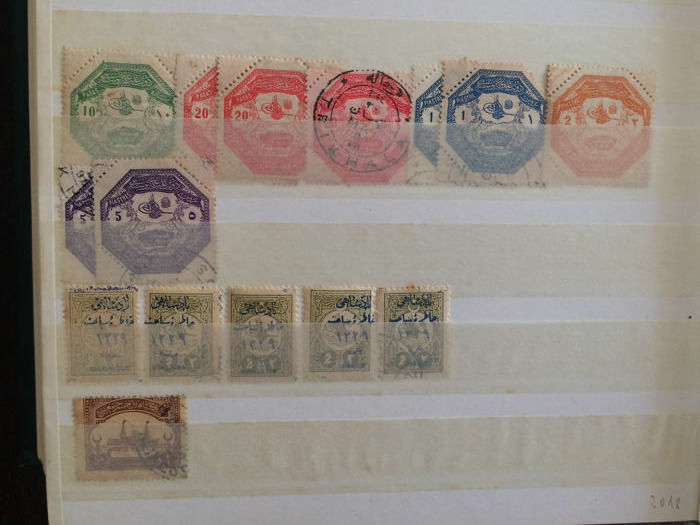 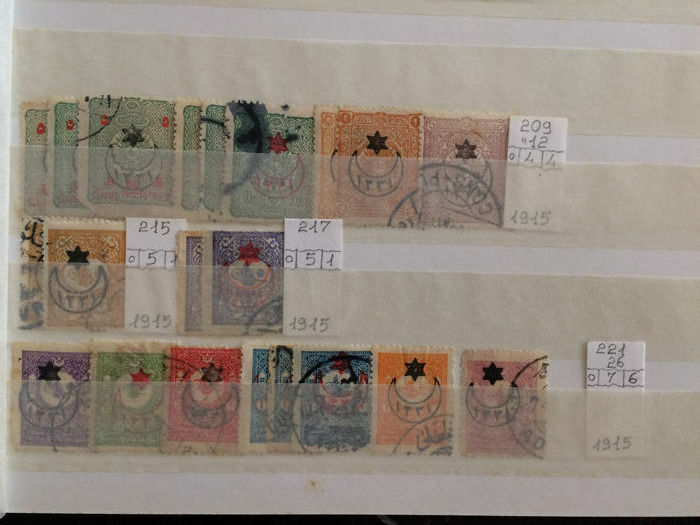 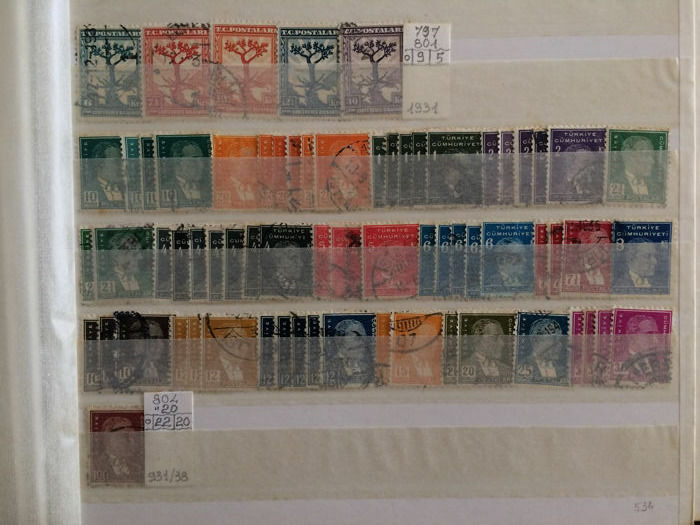 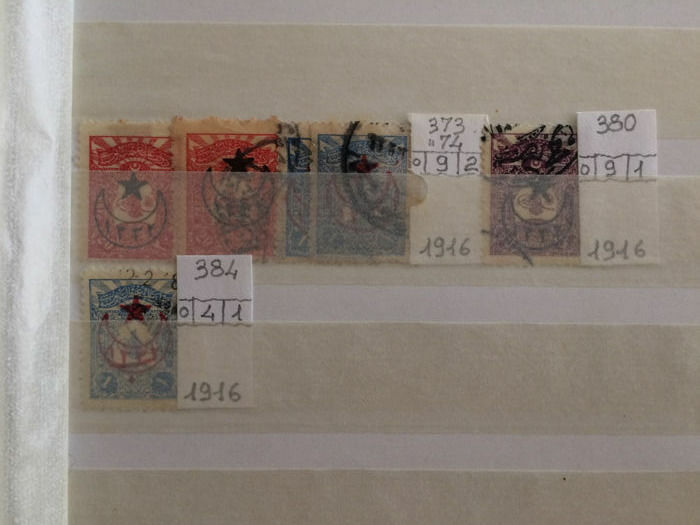 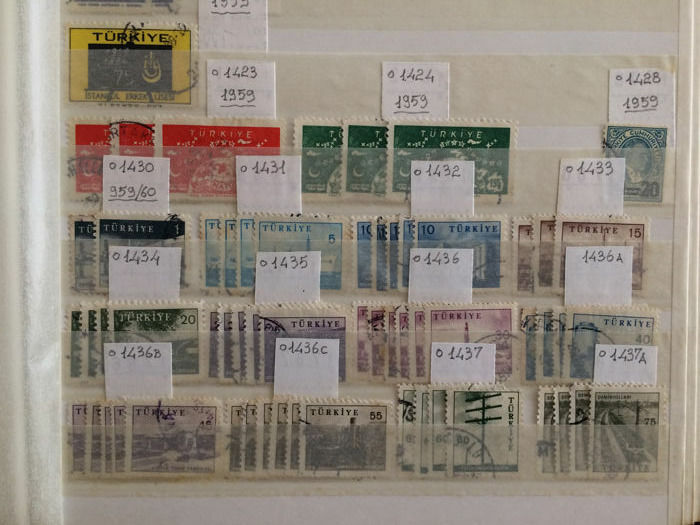 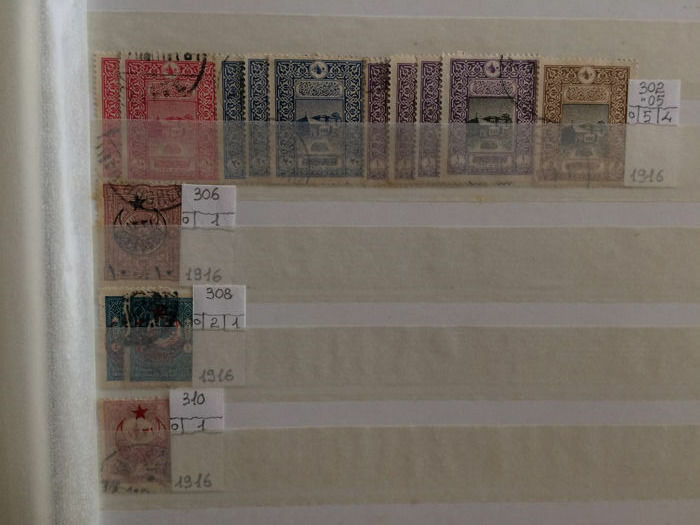 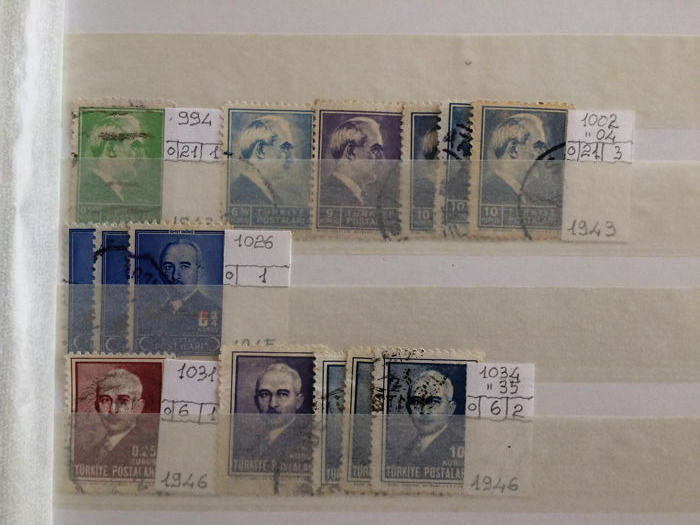 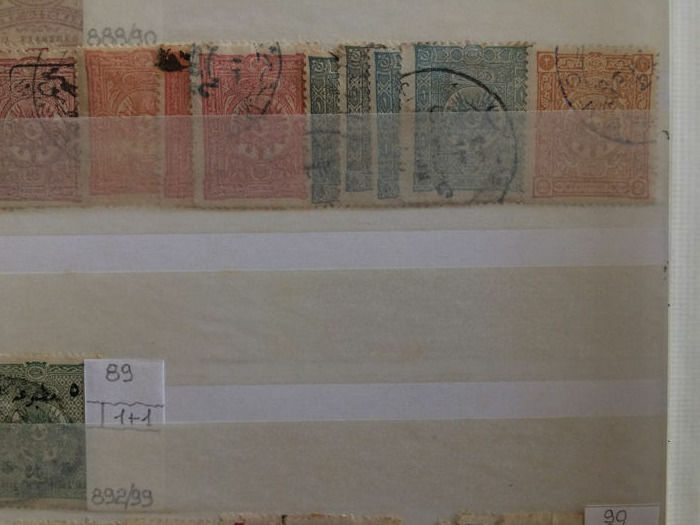 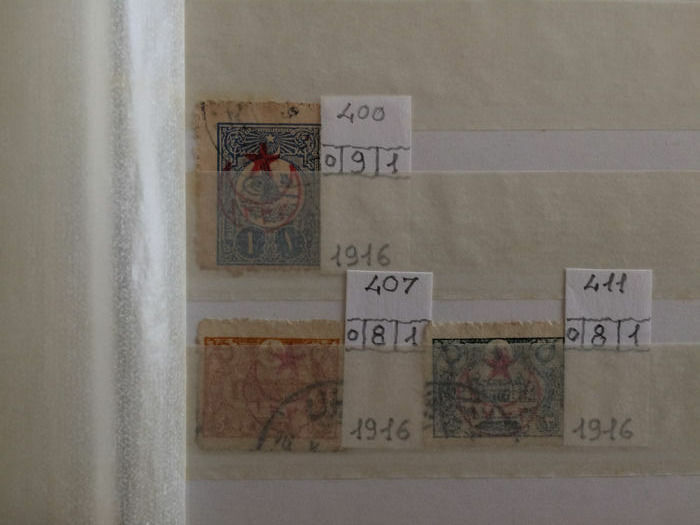 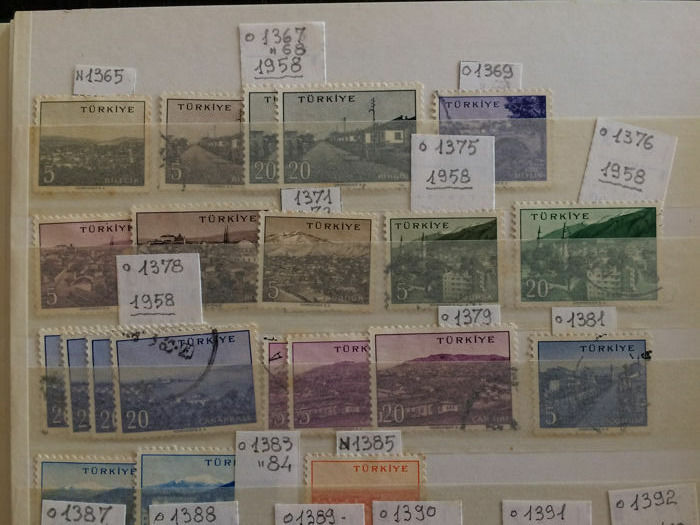 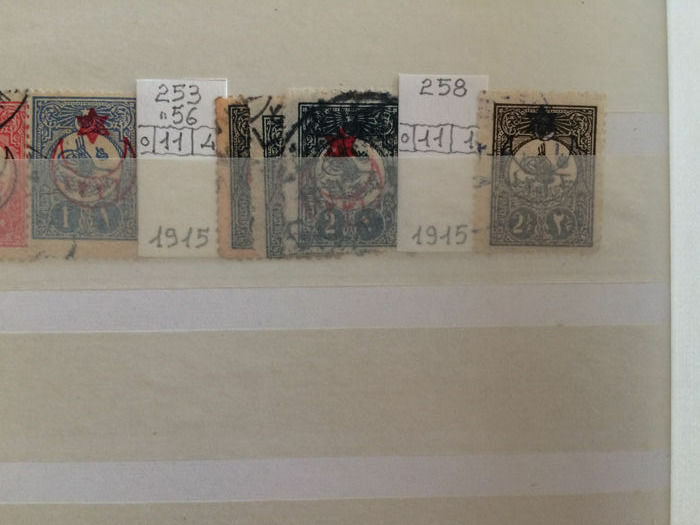 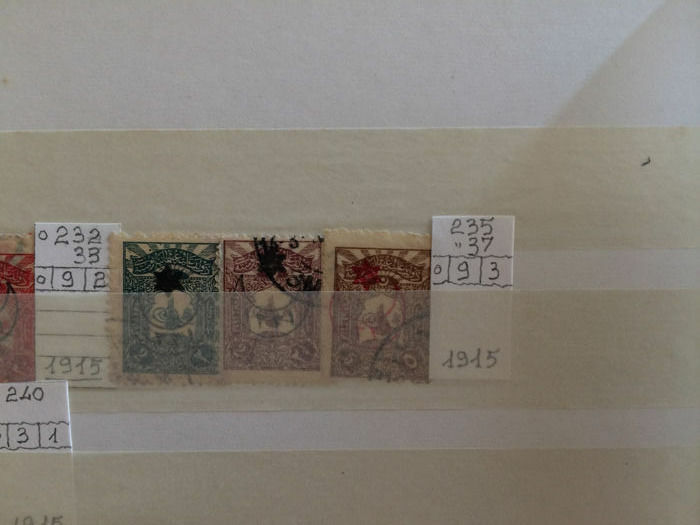 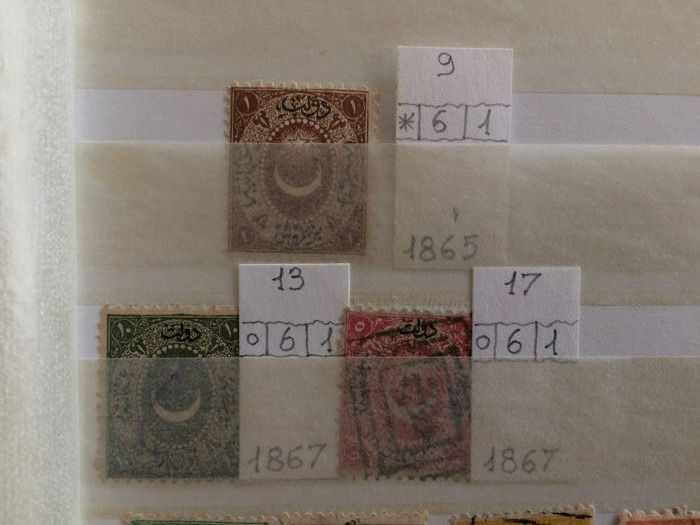 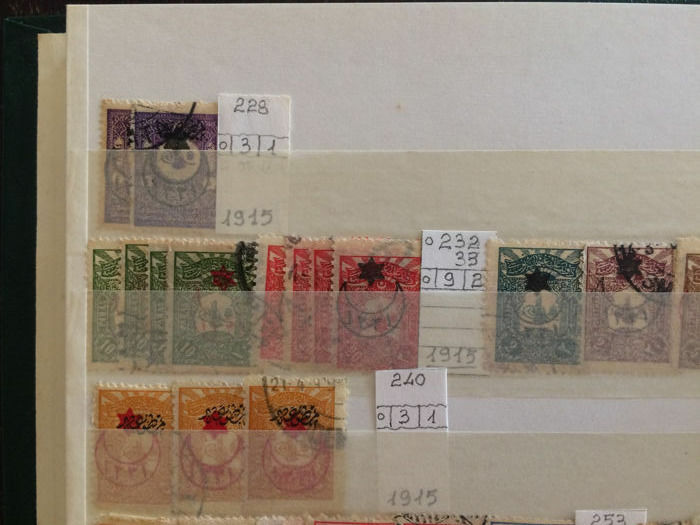 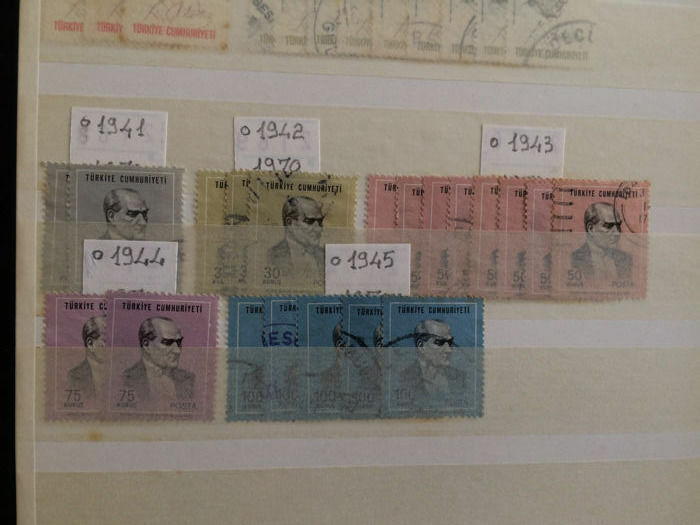 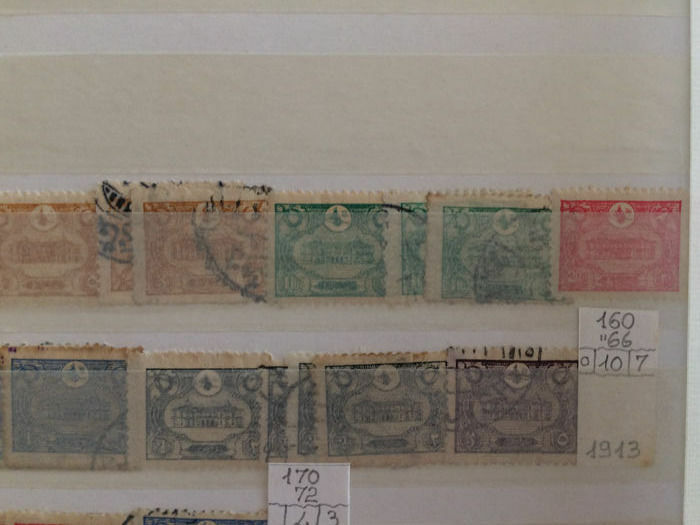 All stamps/series are depicted. 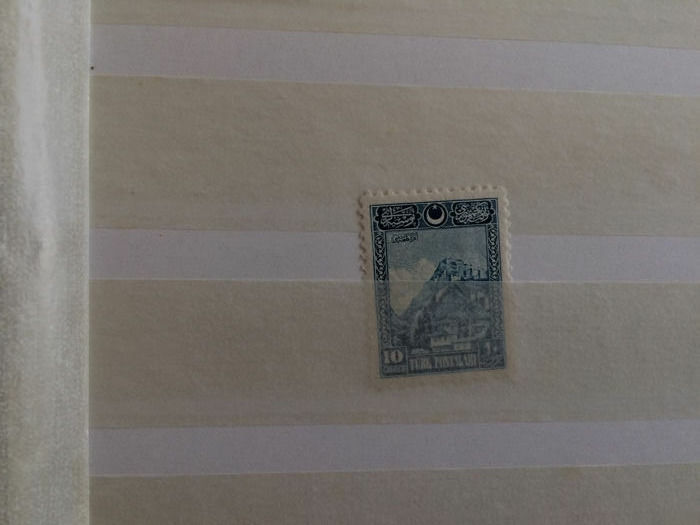 Good quality, although there may be some flaws. 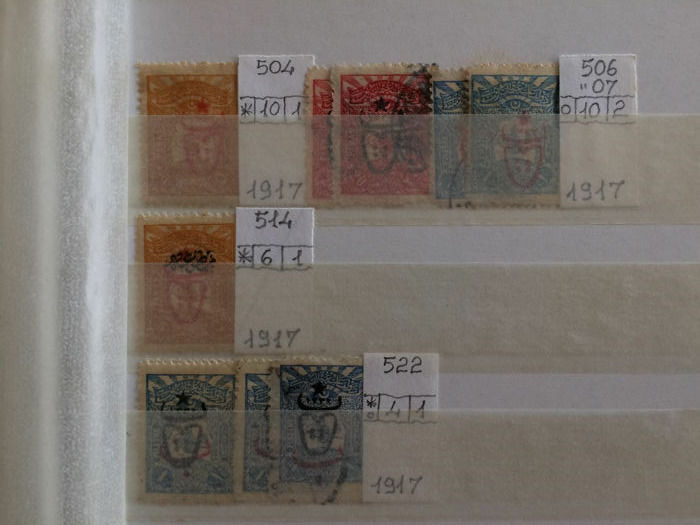 Nevertheless high catalogue value. 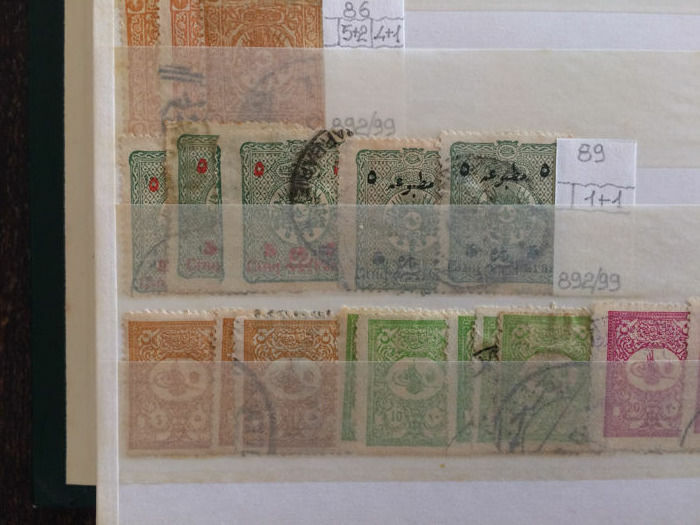 Please examine the photos/scan to form for your own impression. 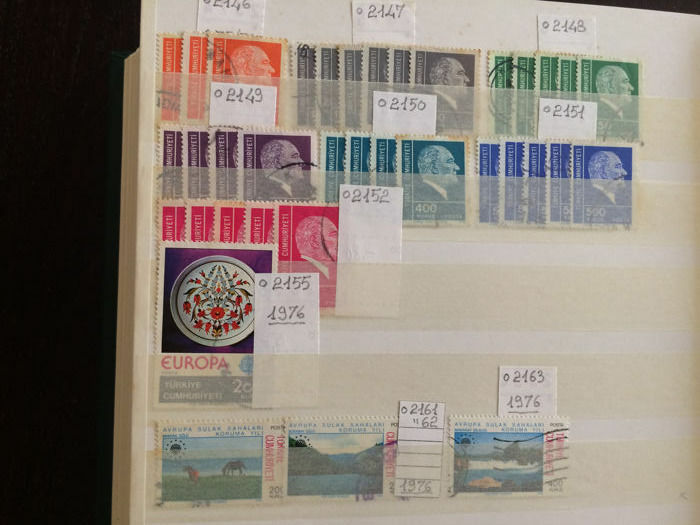 Ricevuto i francobolli in perfette condizioni e ben confezionati. 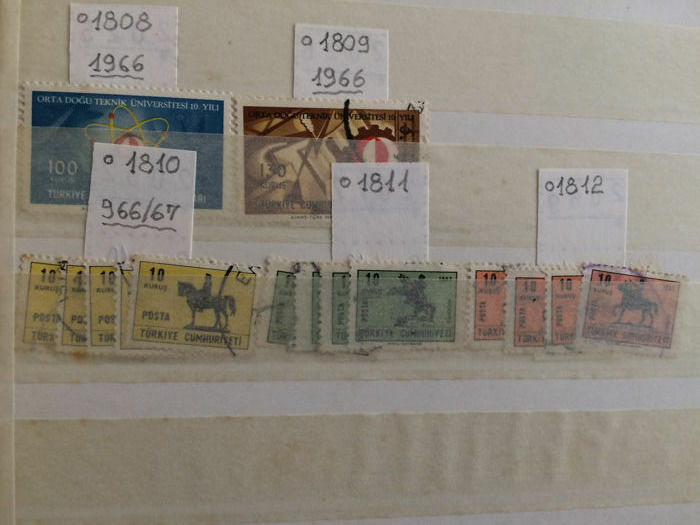 Spedizione rapida. 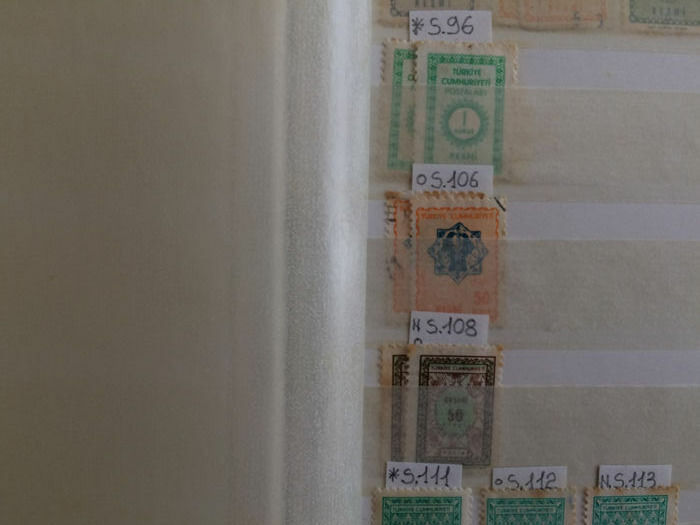 Grazie al venditore e a Catawiki. 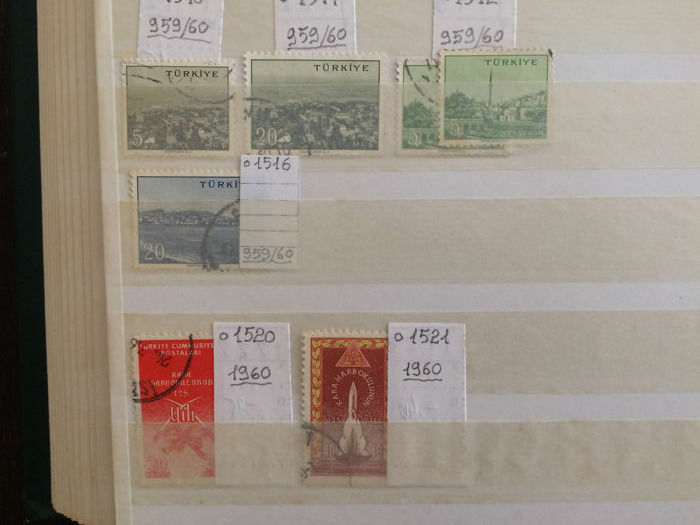 Tutto perfetto. 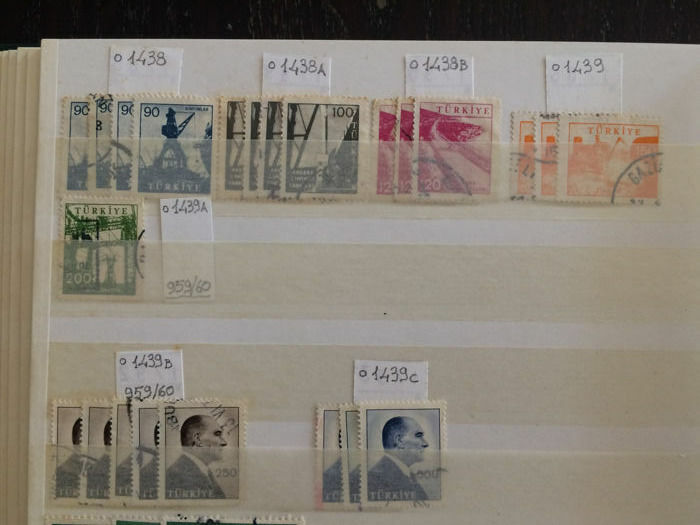 Francobolli bellissimi ed esattamente come fa descrizione. 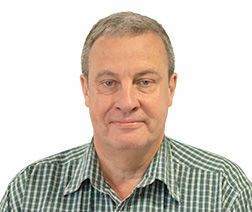 Without ant interest in any kind. 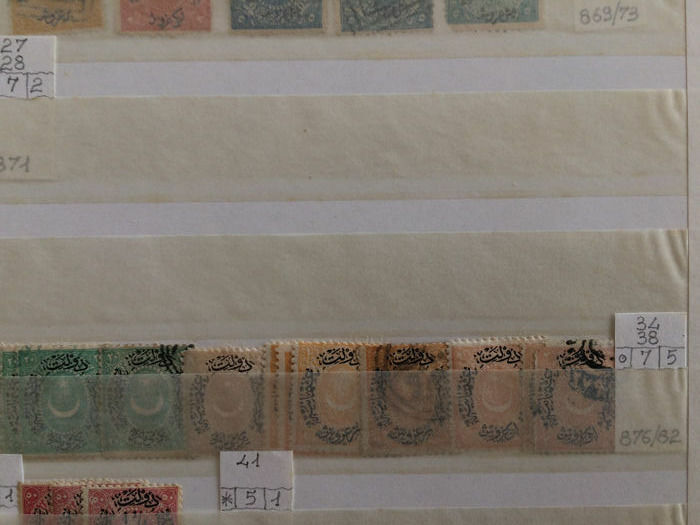 After 280 lots sold you are the first buyer unsatisfied. 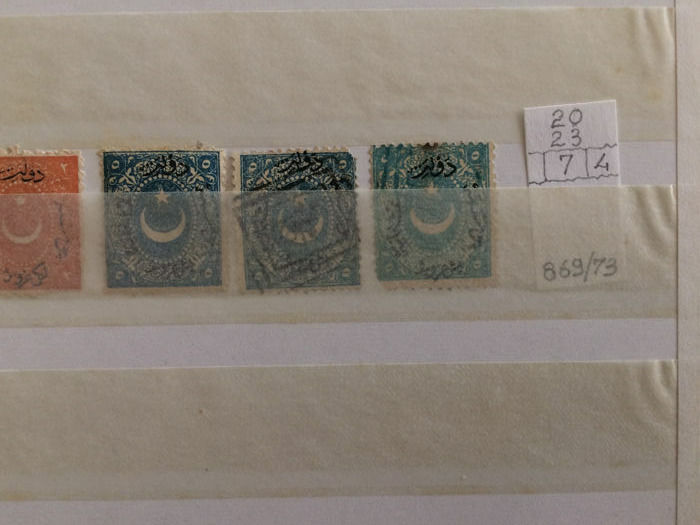 Nevertheless I am sorry that you are not happy of your purchase. 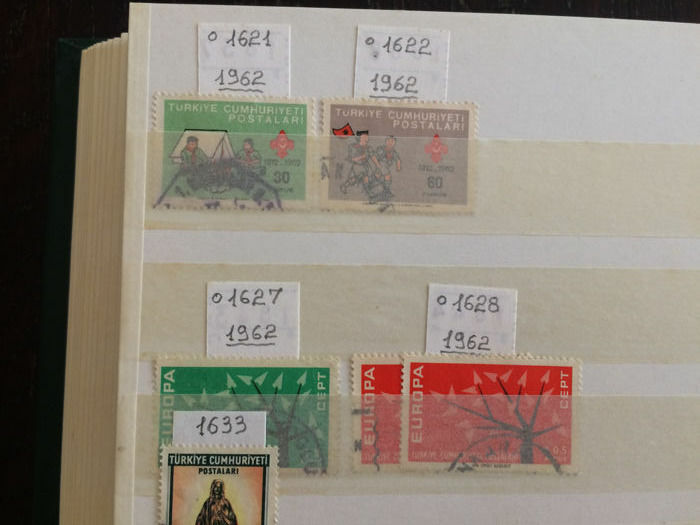 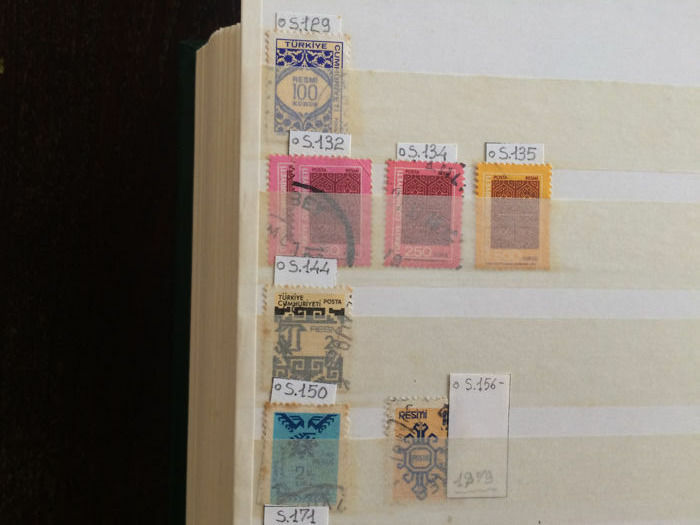 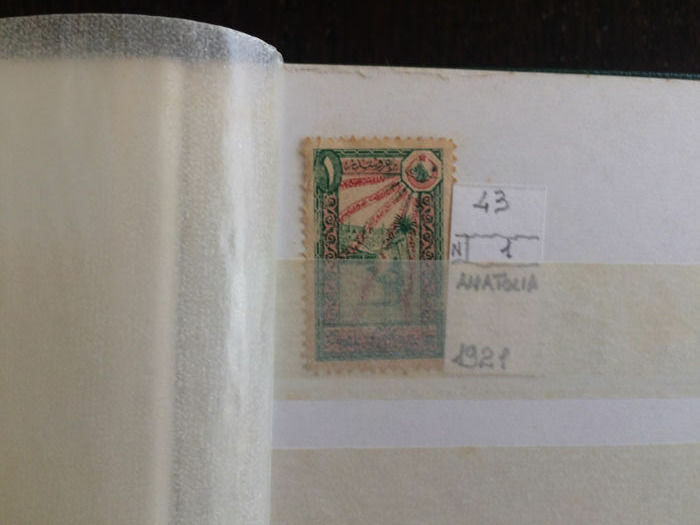 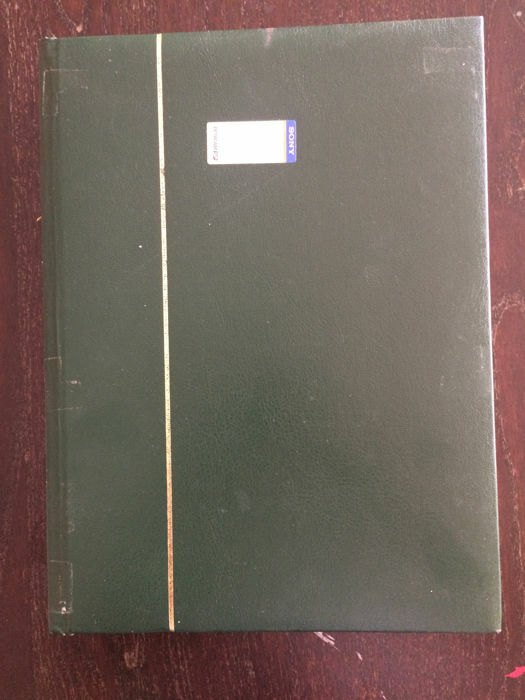 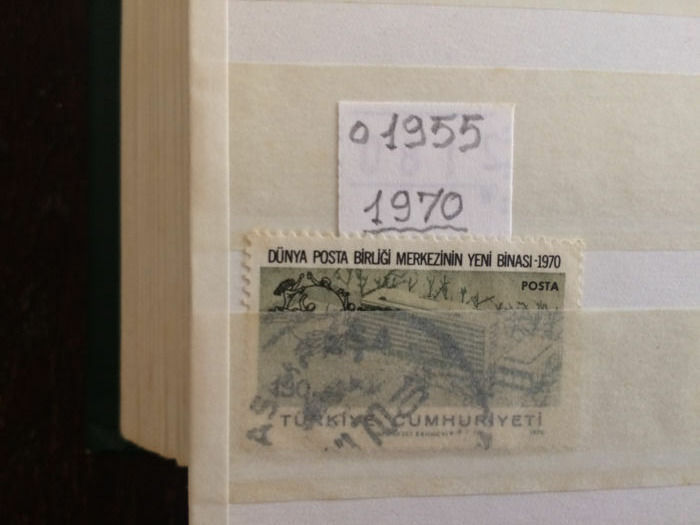 Anyway is not true that stamps were creased; you are right a stockbook is not an album but in italian language a stock book is an "album per francobolli", maybe a bad translation but not a fraud. 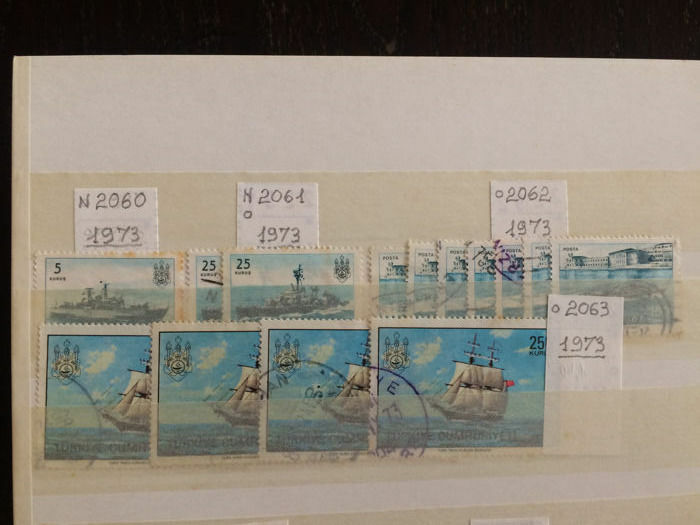 Finally as everybody knows cost of shipping include postal rate + packing + manpower. 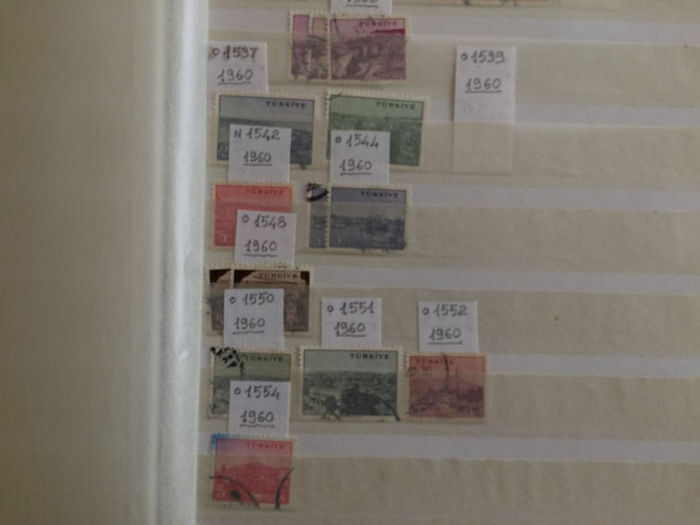 Heb heel lang moeten wachten op de kavel uit Italië. 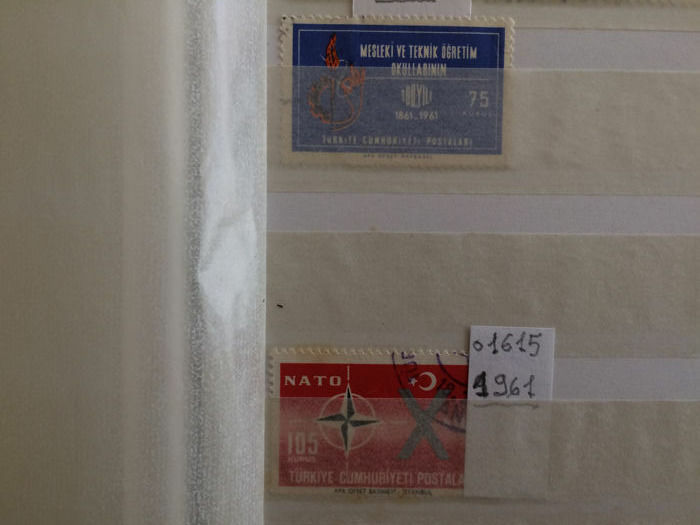 De informatie was ook heel slecht, waar is/was het pakket en de levering werd ook niet aangegeven. 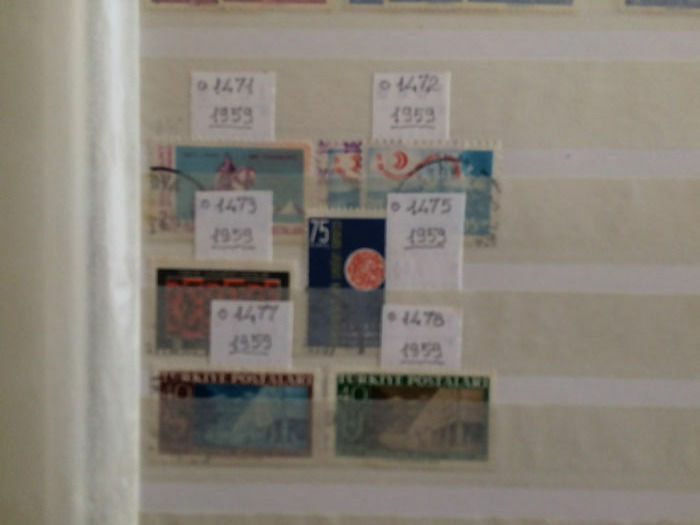 Ineens stond de pakketbezorger voor de deur. 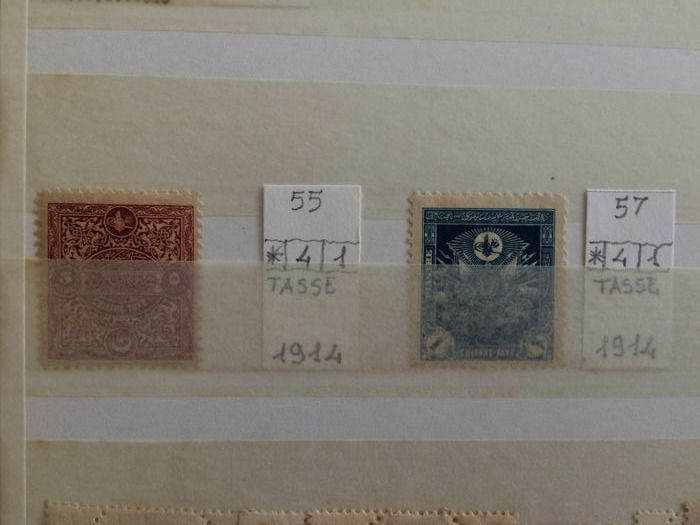 Tout s’est bien passé comme je l’espérais. 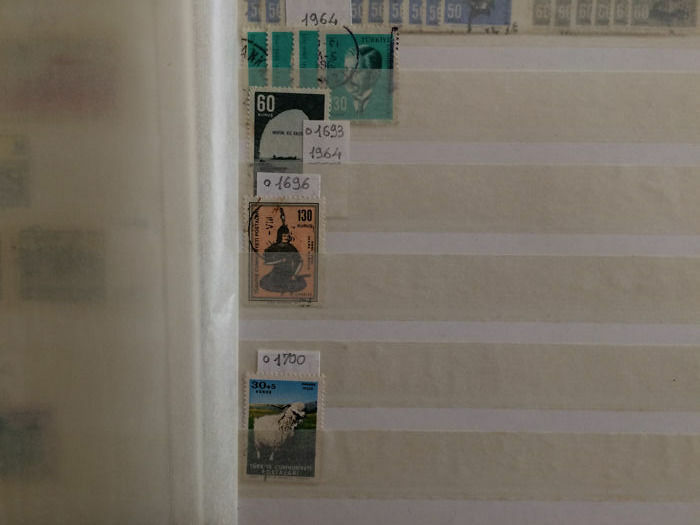 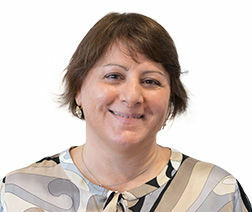 Rien à redire , merci. 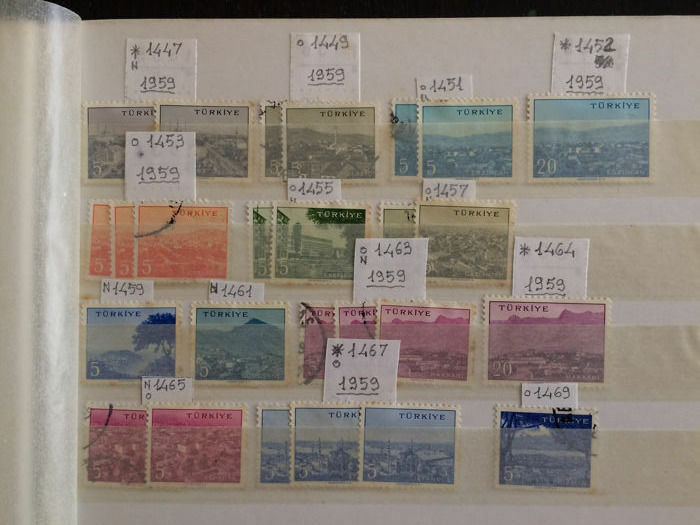 Ottimo lotto, così come presentato e ben fotografato. 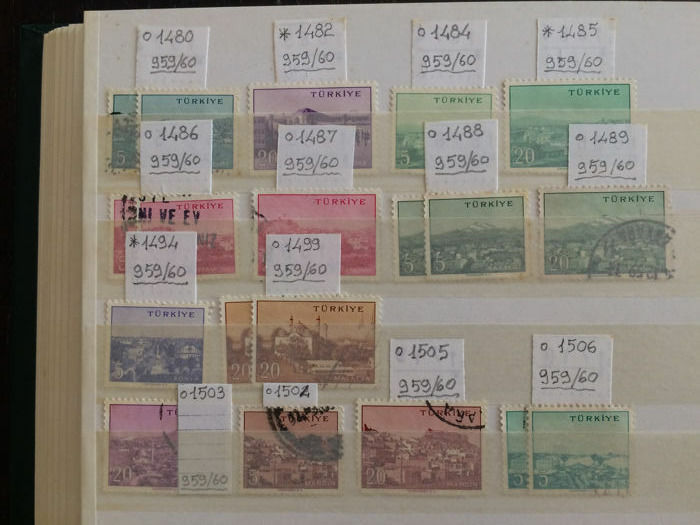 Venditore disponibile, consigliatissimo. 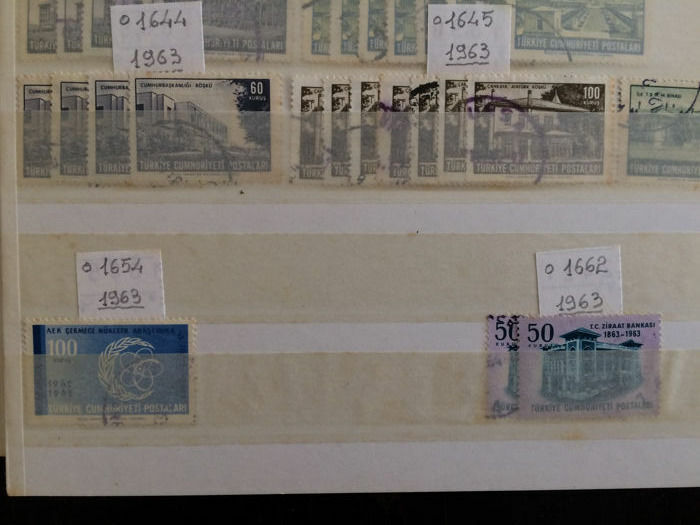 Materiale ricevuto in tempi rapidi, confezionato con cura e corrispondente alle foto del lotto pubblicate. 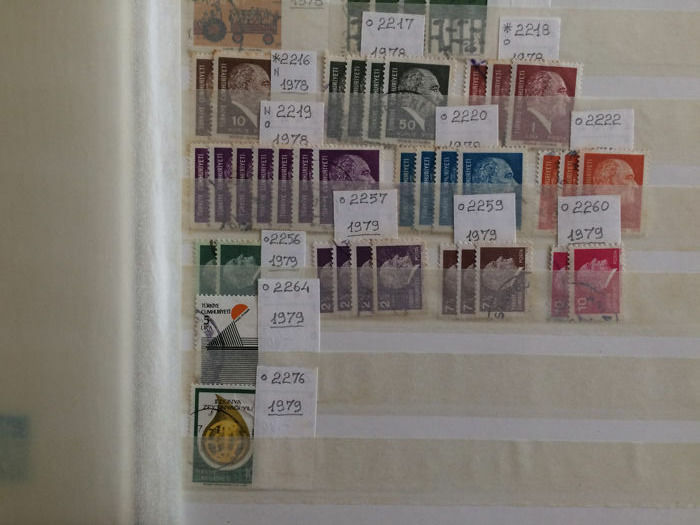 Flot mappe med Usa mærker. 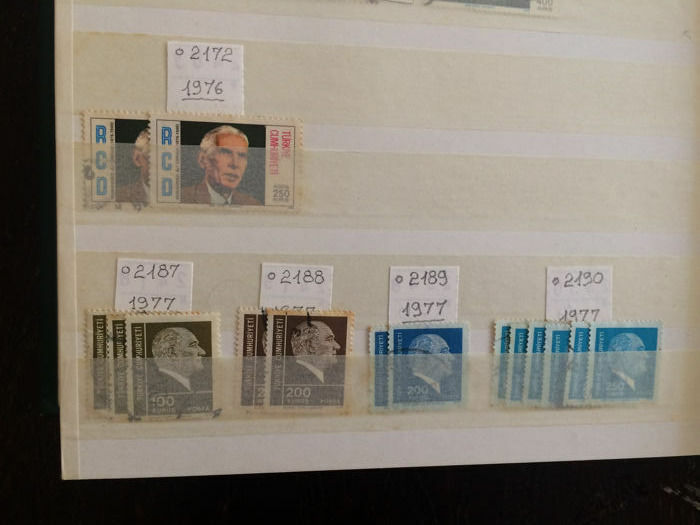 God handel. 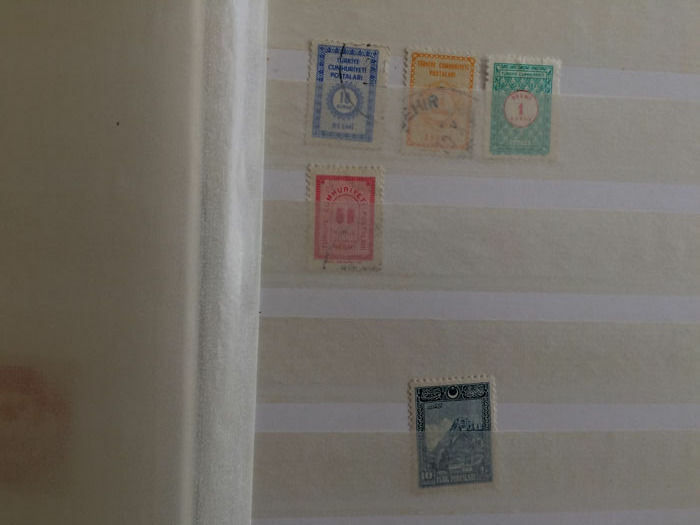 Sono molto soddisfatto della bella collezione acquistata e ringrazio il venditore per la passione. 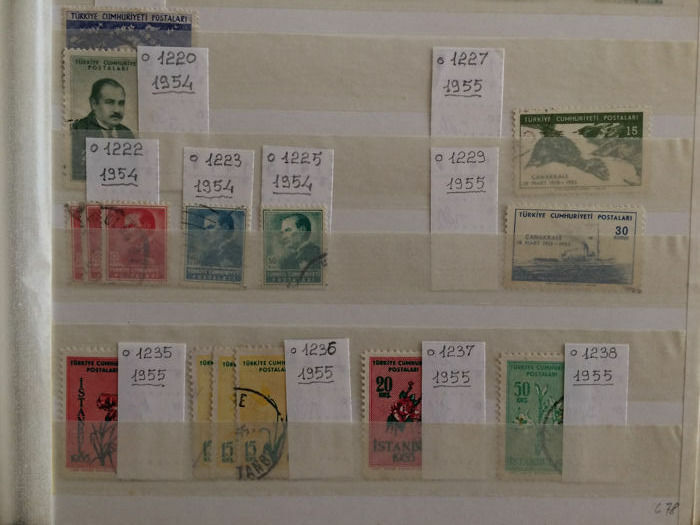 You can pick up this lot from the seller: Stezzano (BERGAMO) (Italia), Italy.